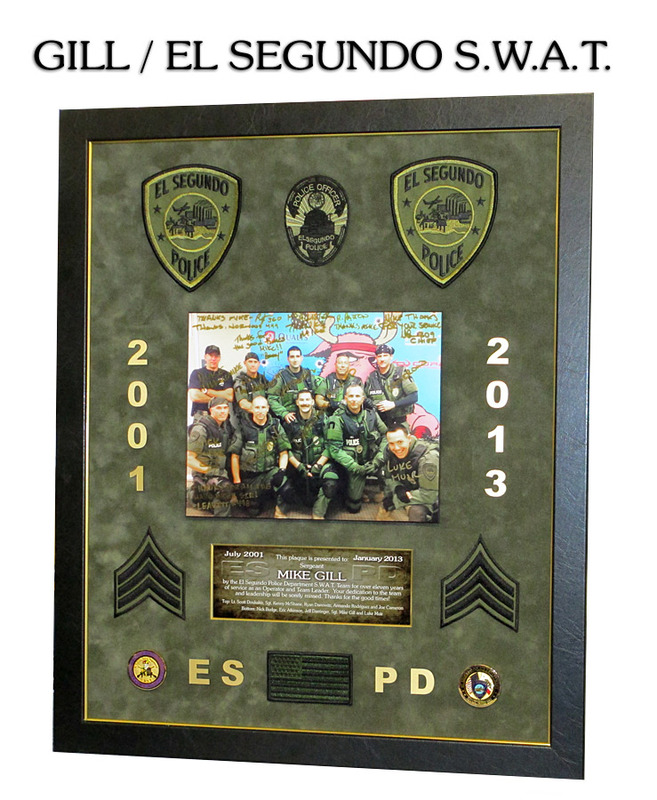 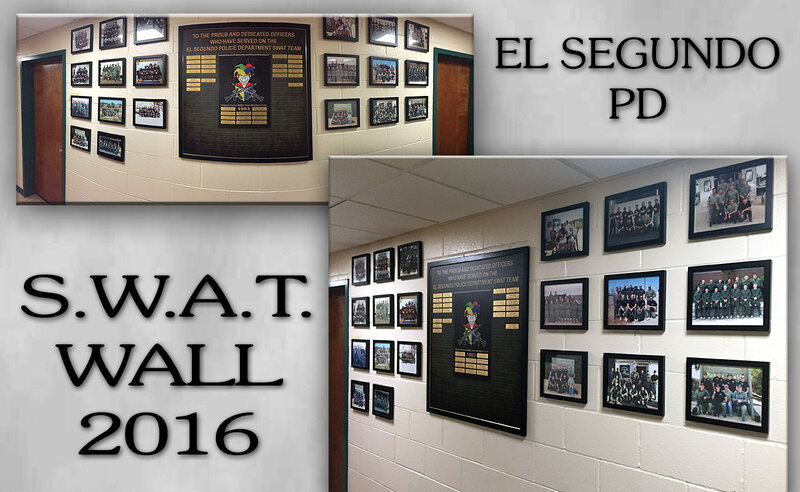 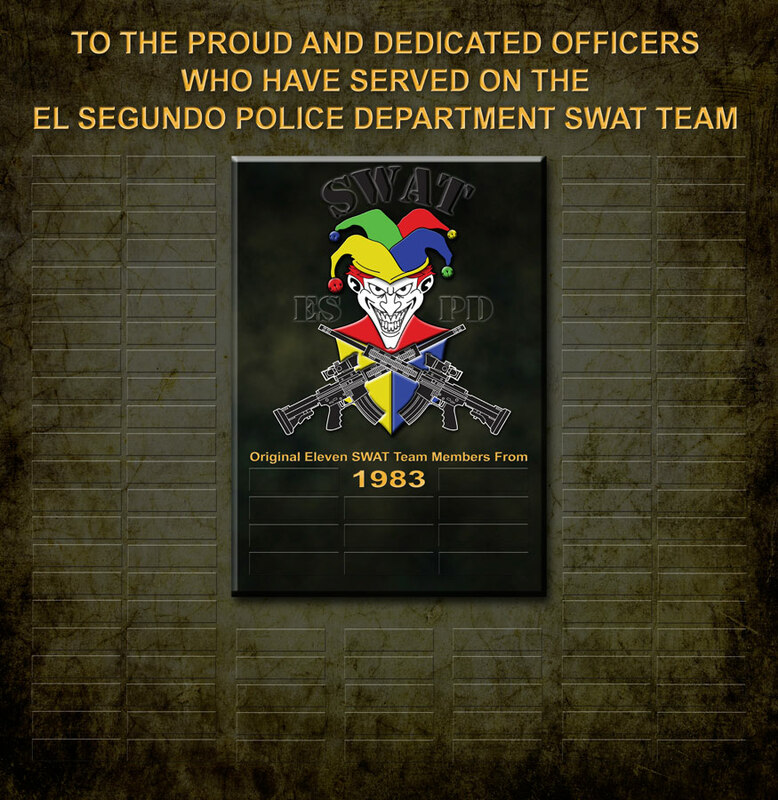 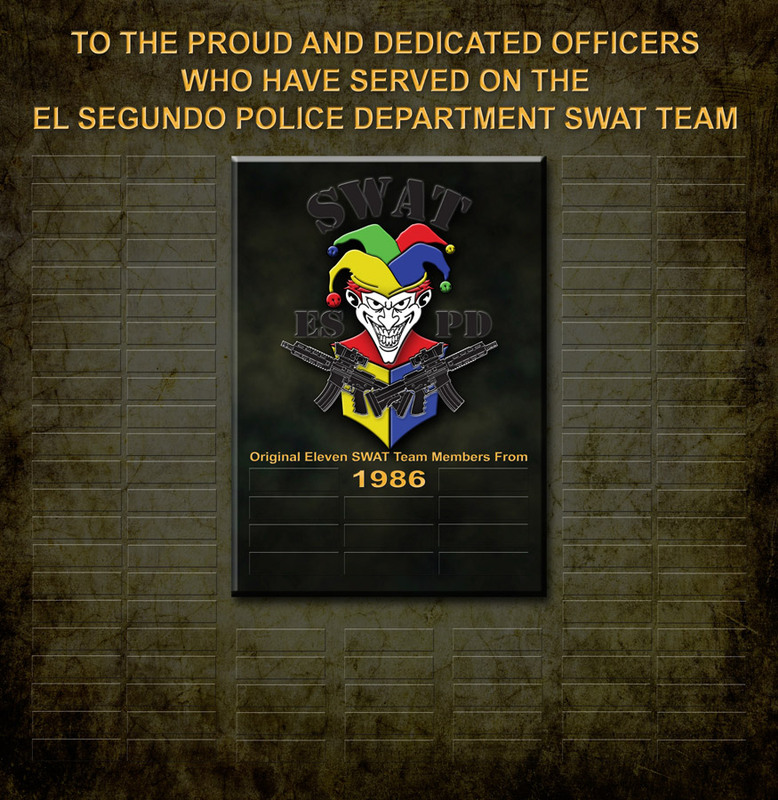 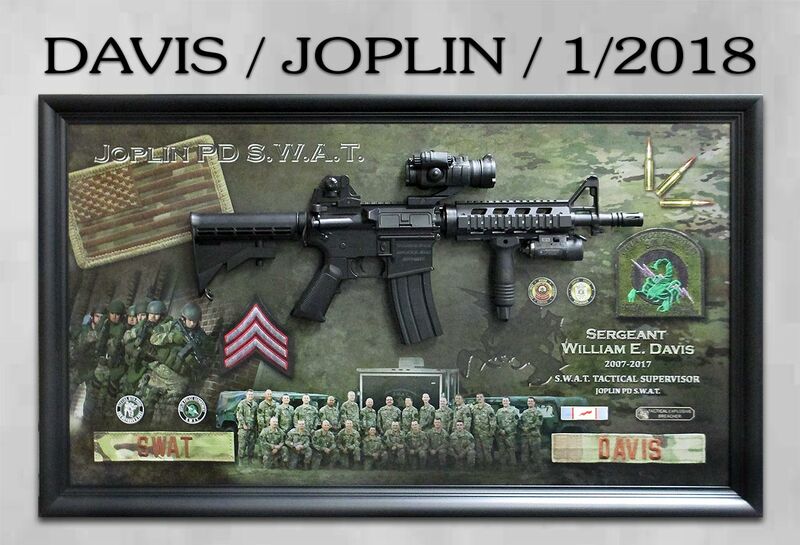 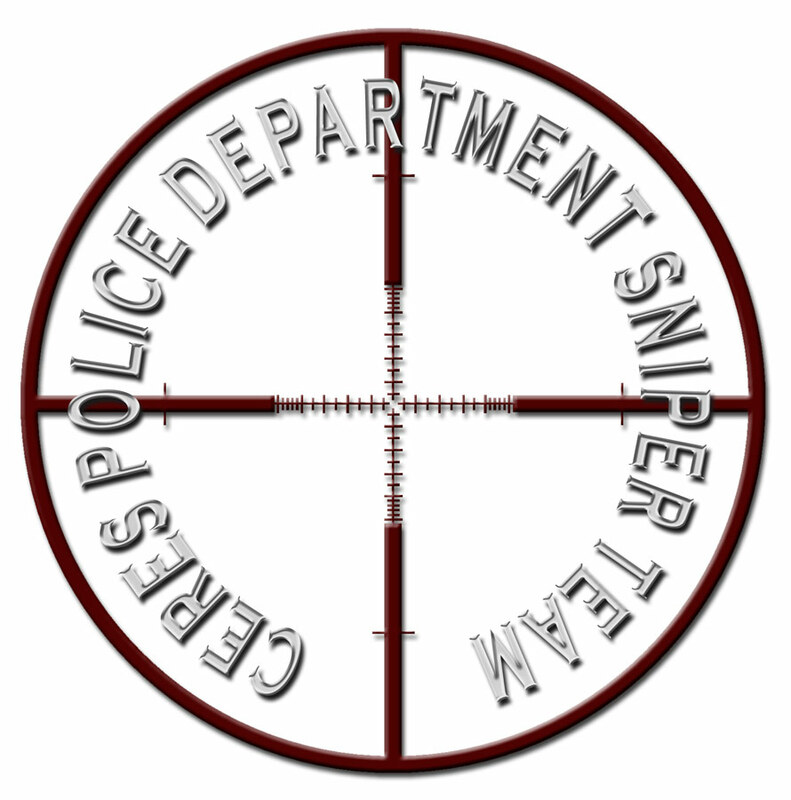 Special thanks Kenny McShane / ESPD S.W.A.T. 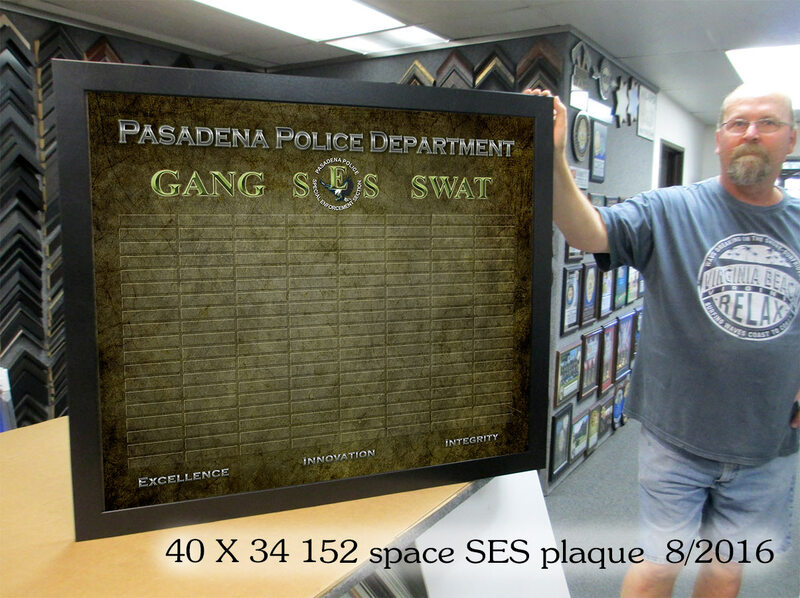 for the great pics! 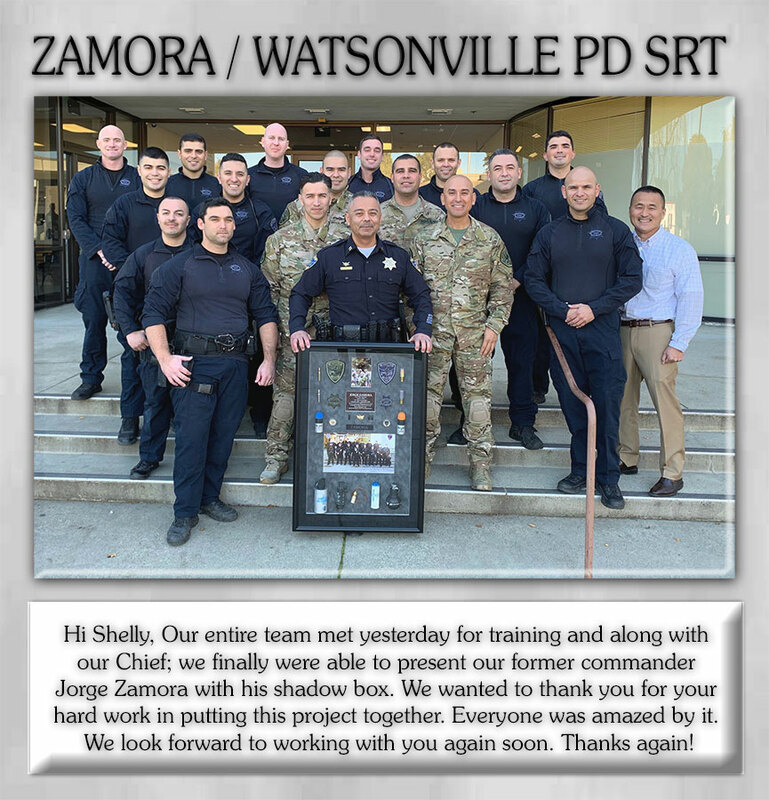 "I just wanted to thank you for a job well done!!!! 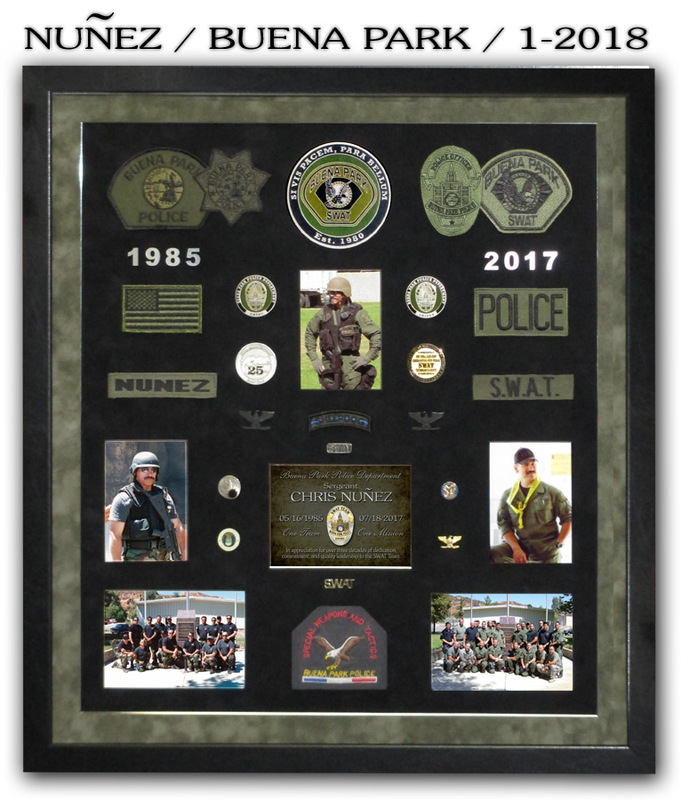 face when we presented it to him that it was something special." 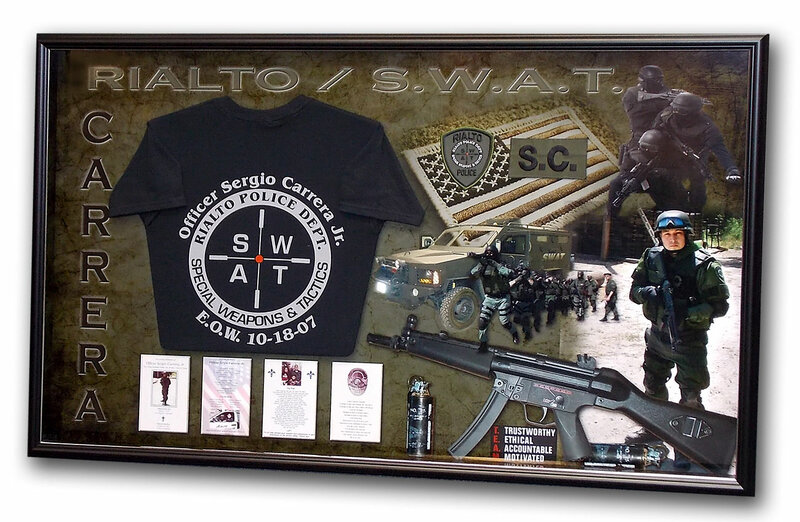 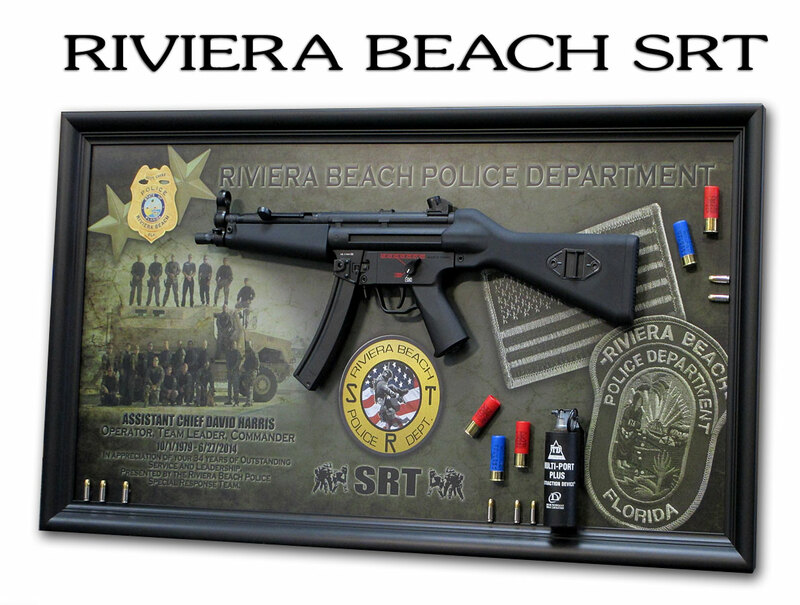 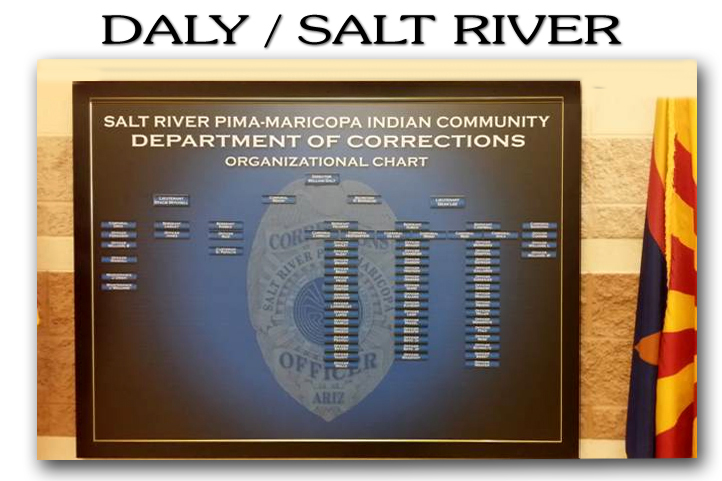 Rialto S.W.A.T. 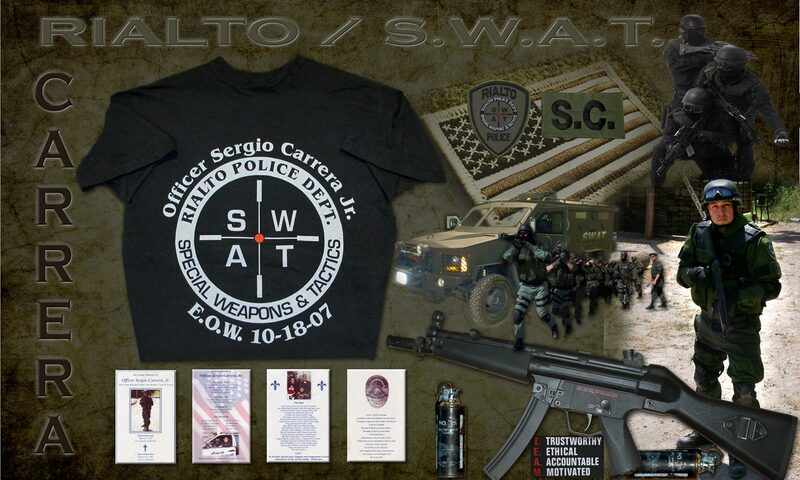 / Carrera / E.O.W. 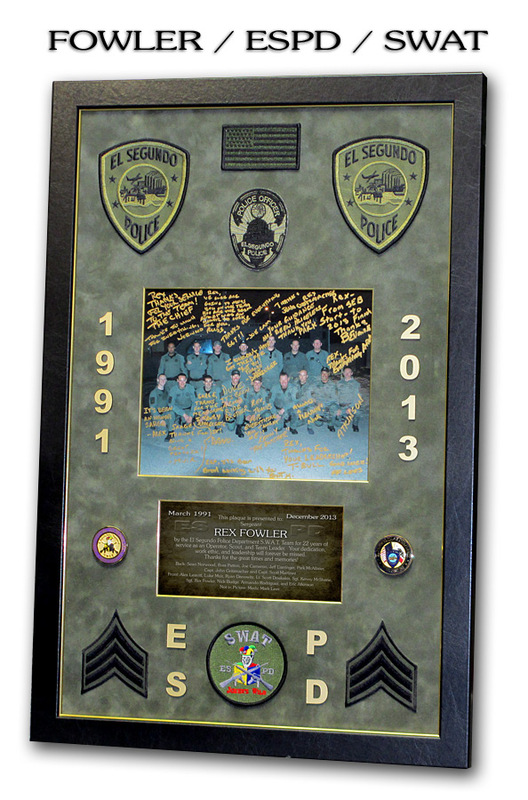 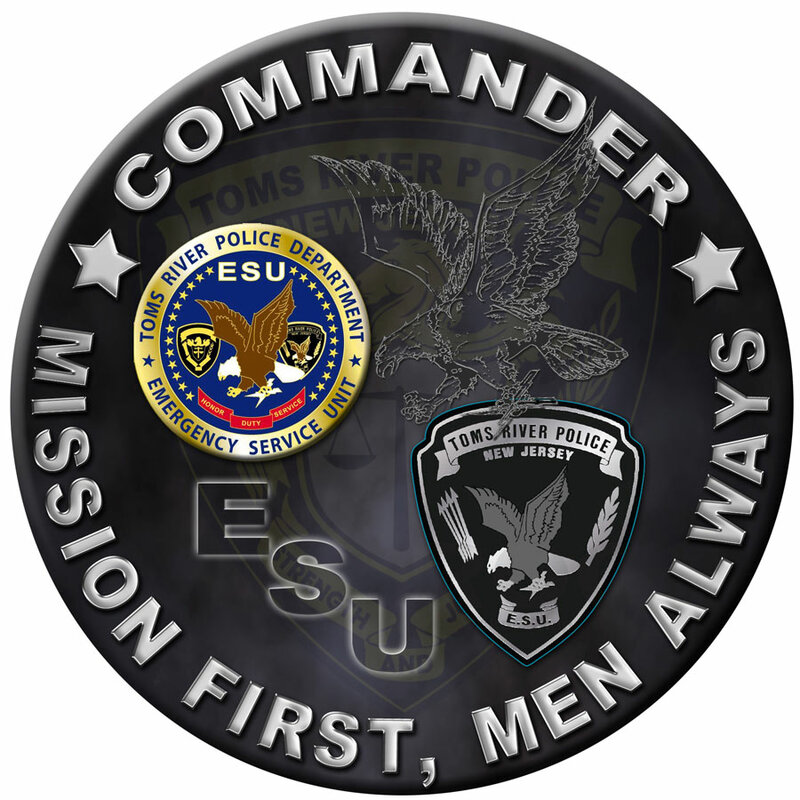 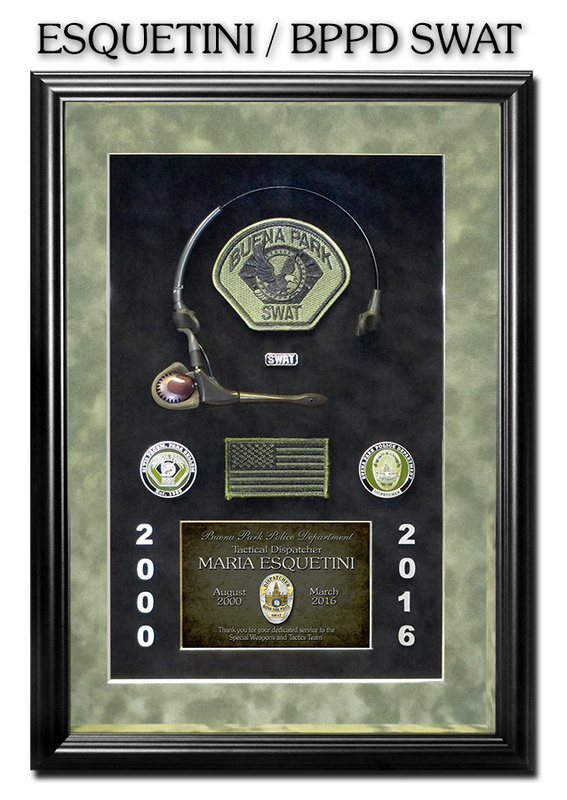 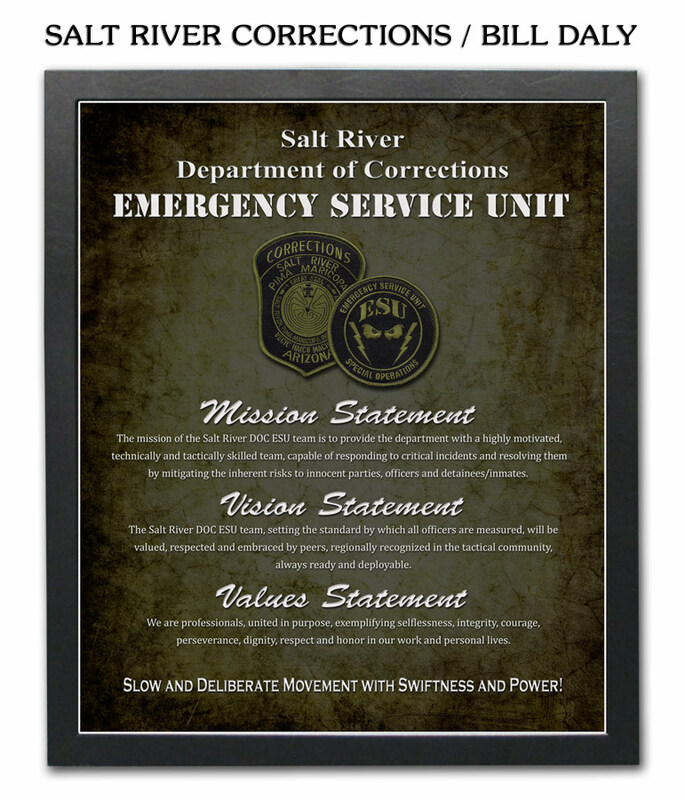 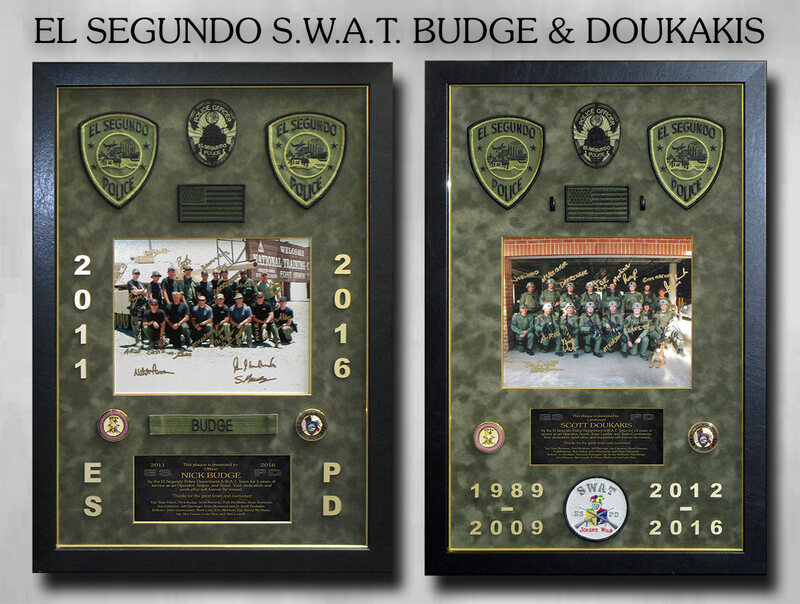 24" ESU Seal / Toms River PD / NJ. 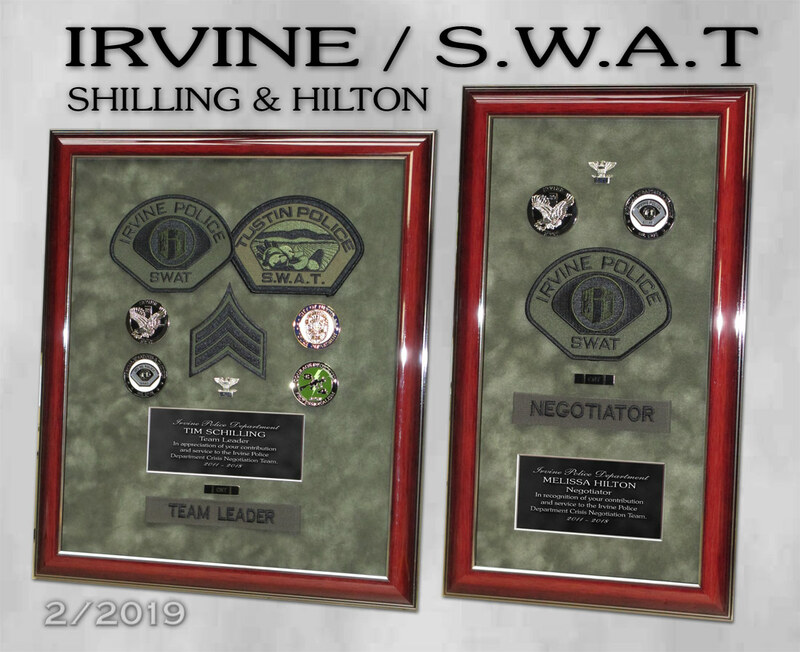 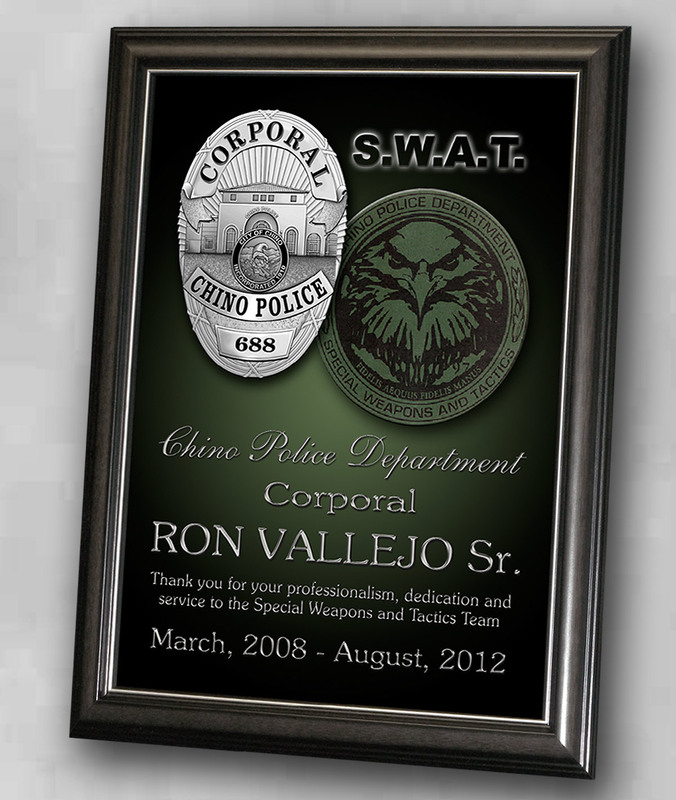 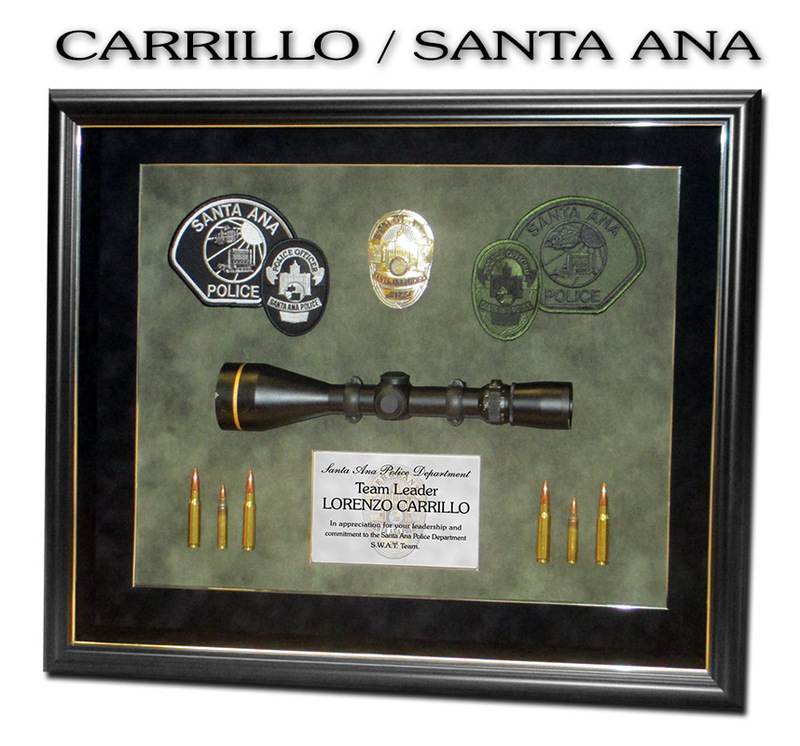 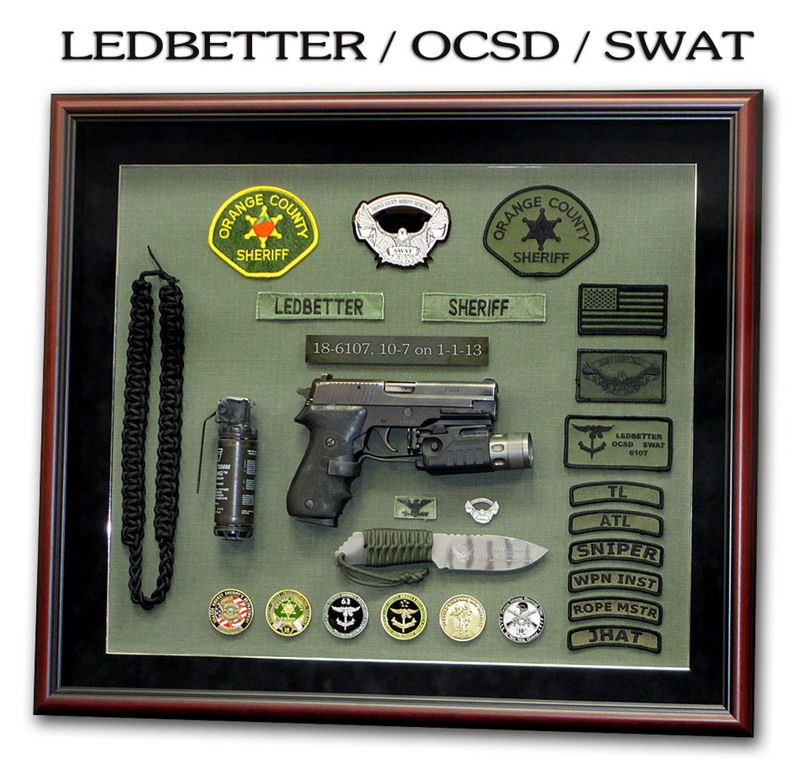 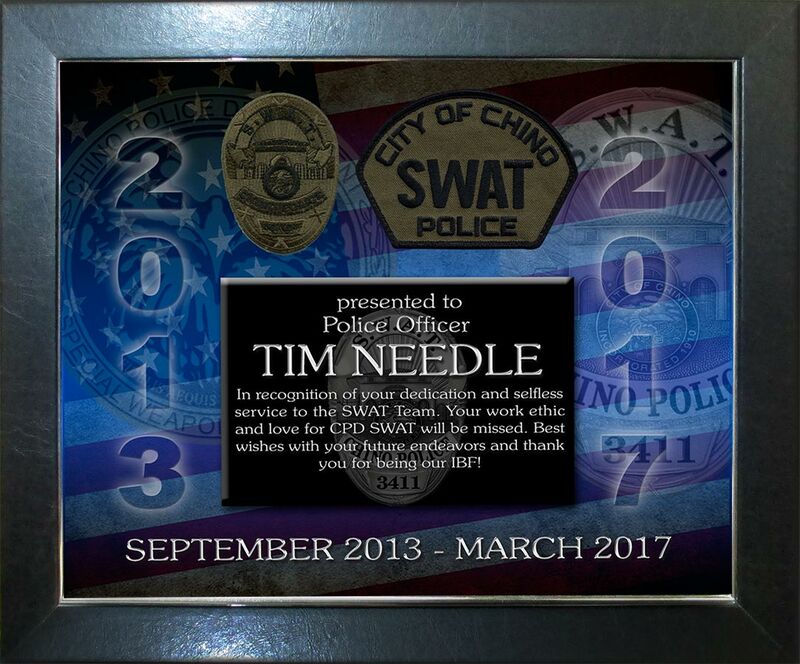 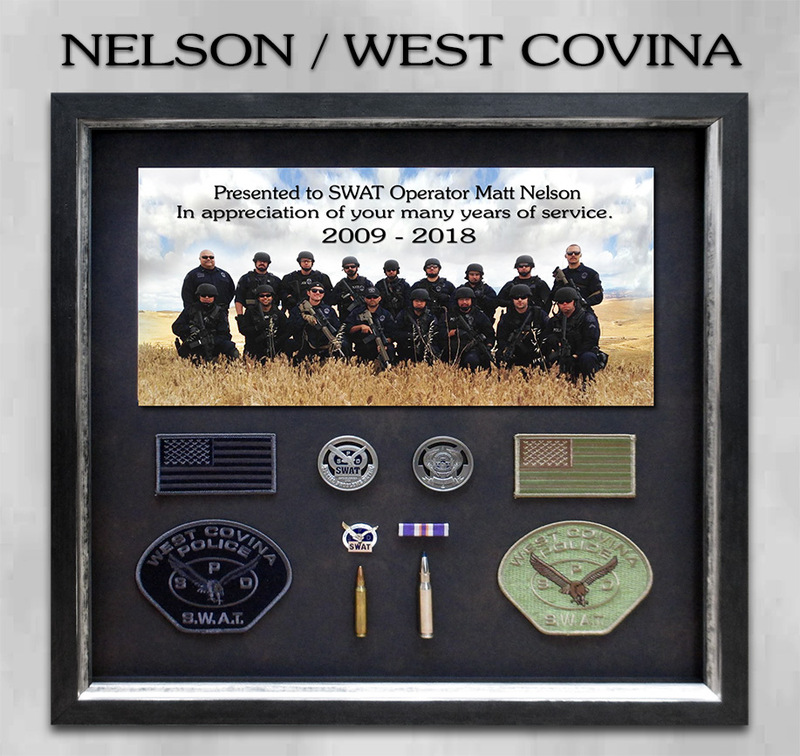 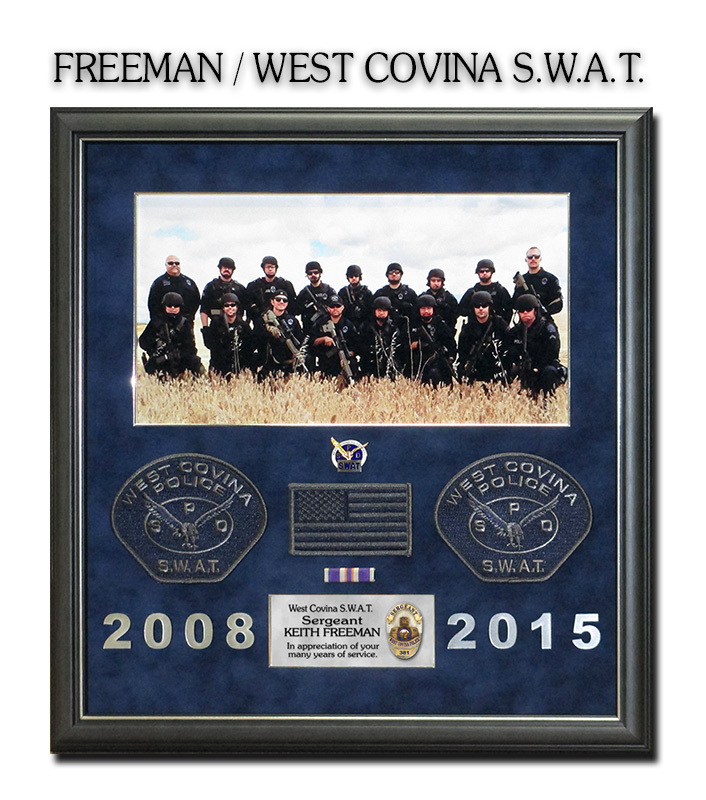 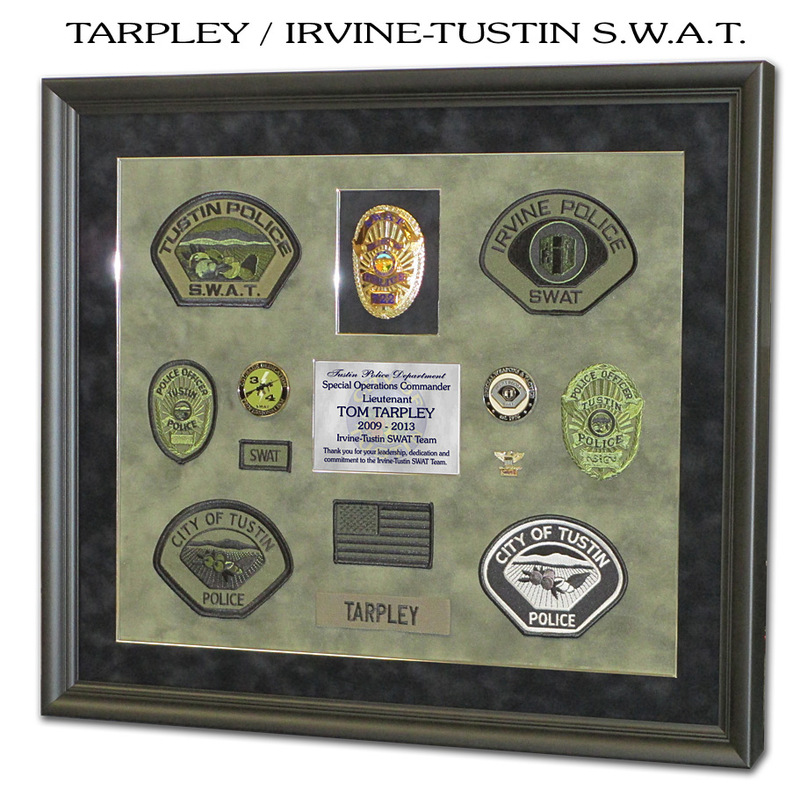 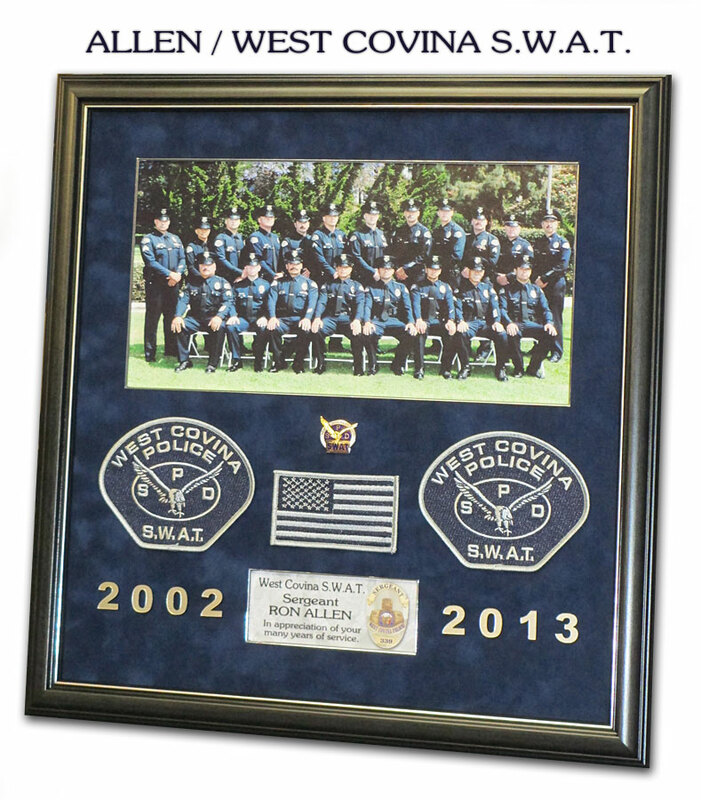 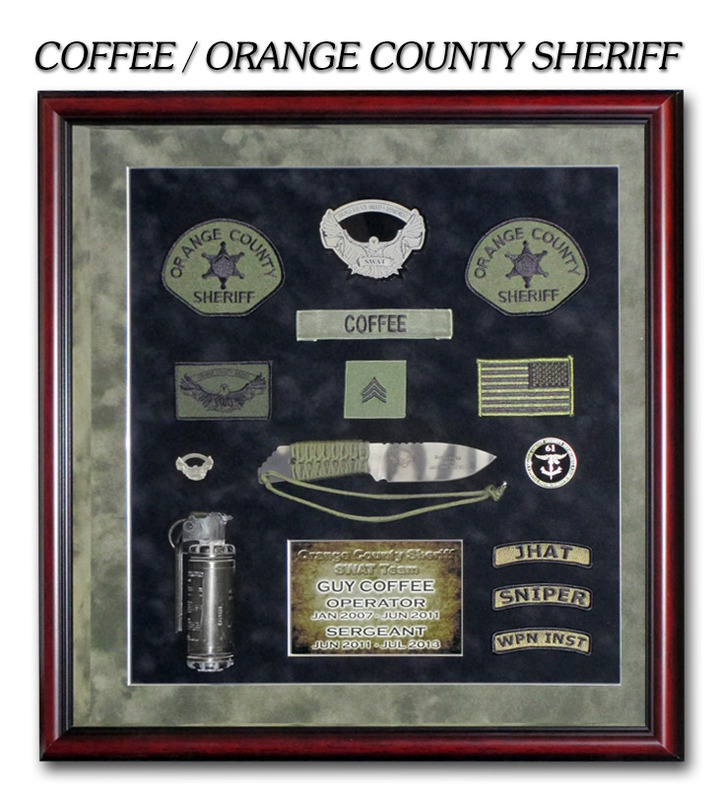 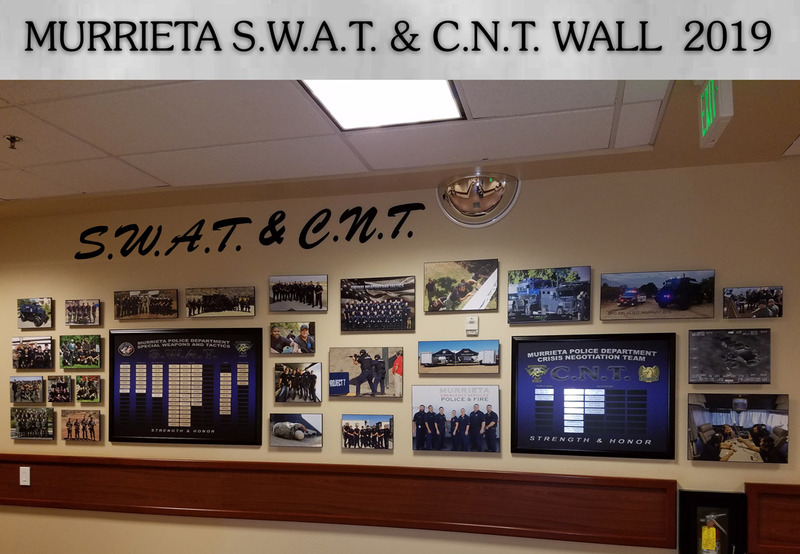 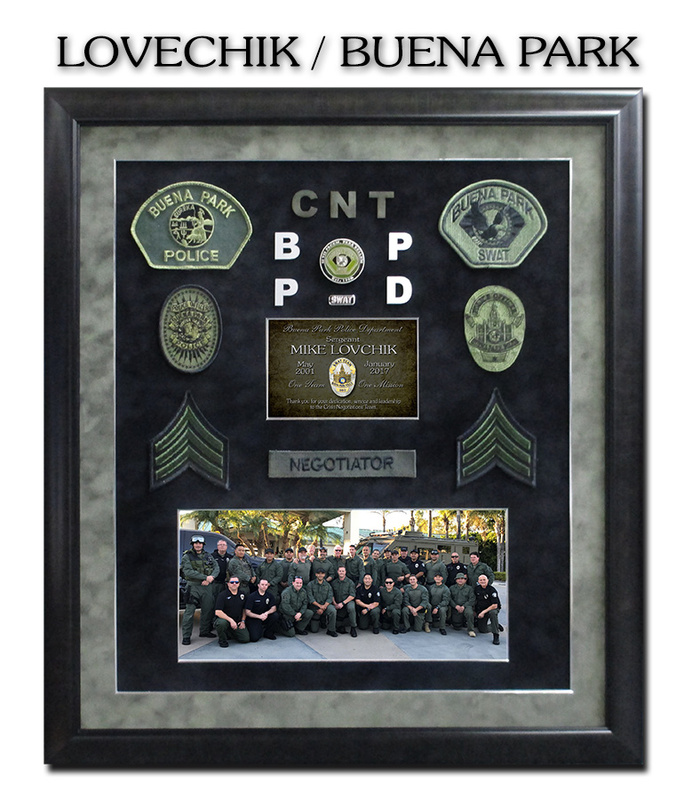 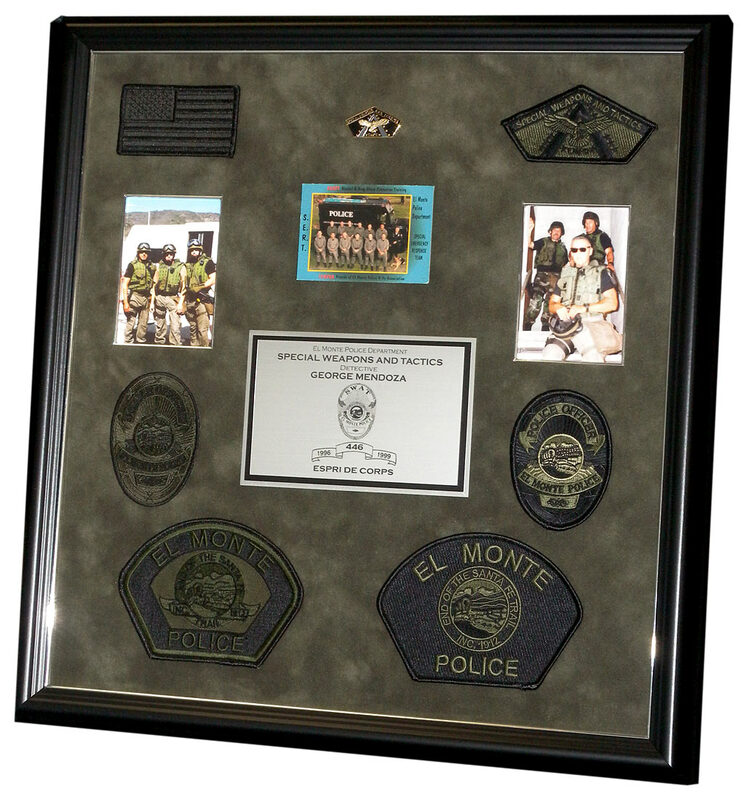 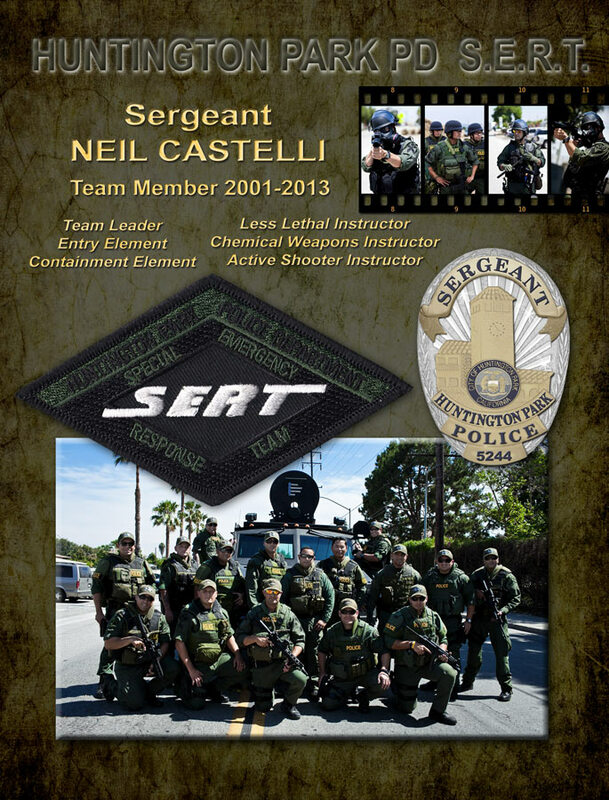 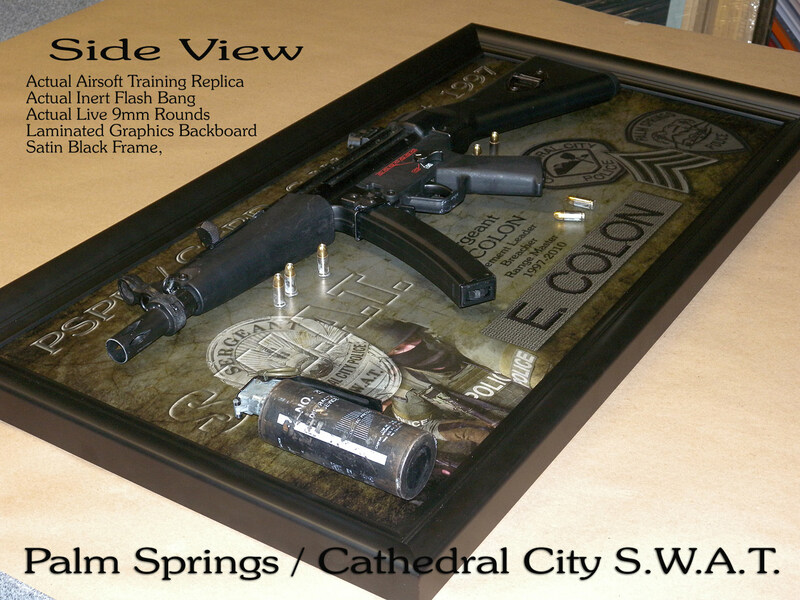 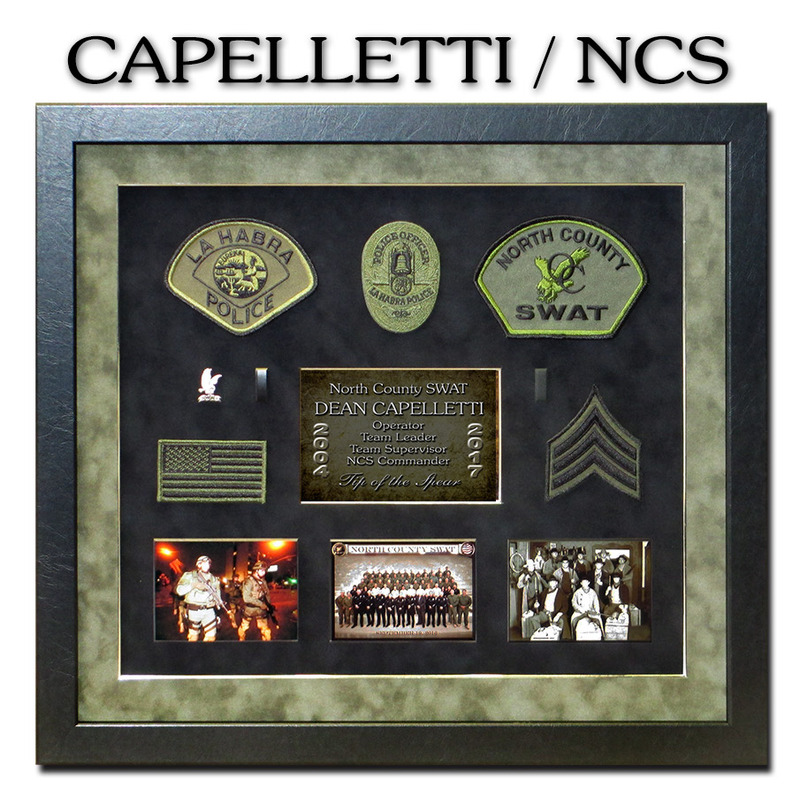 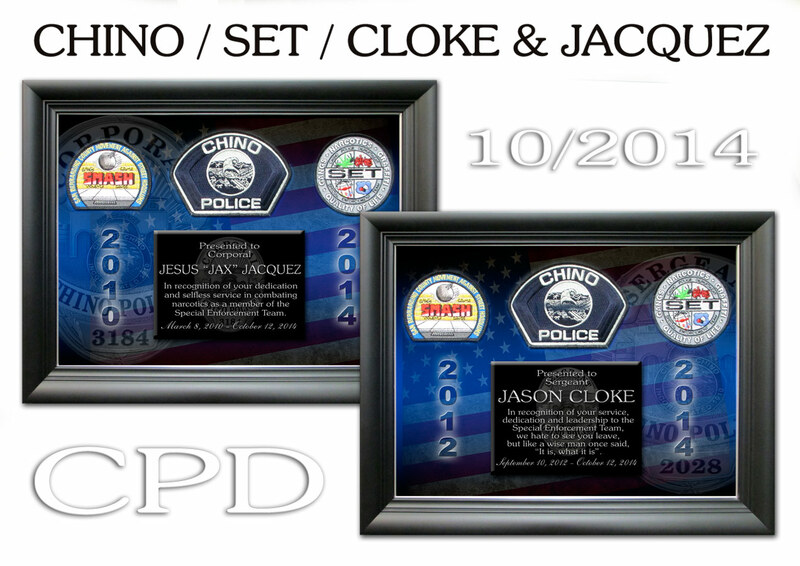 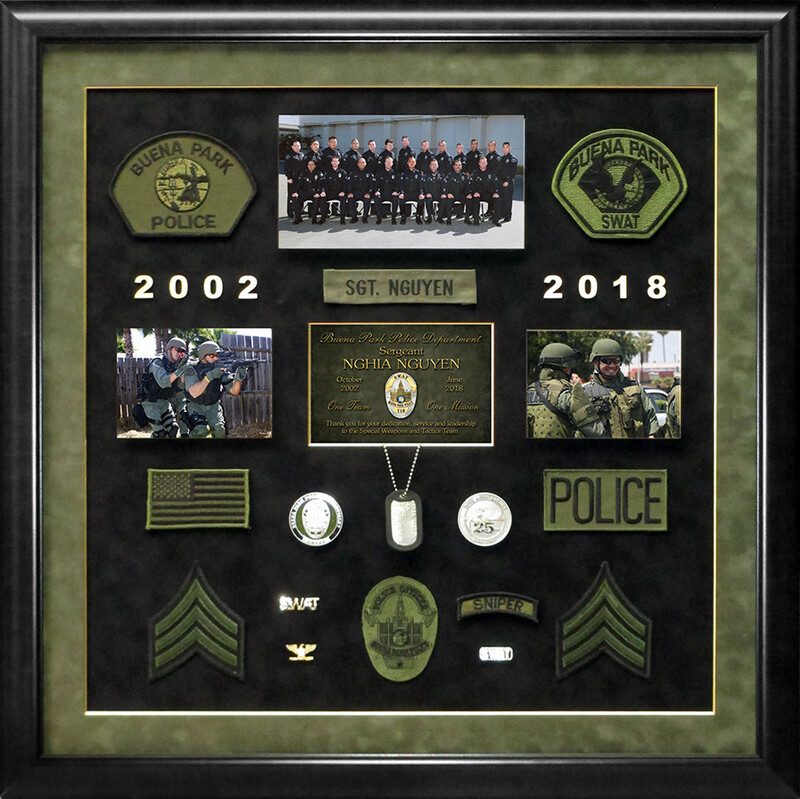 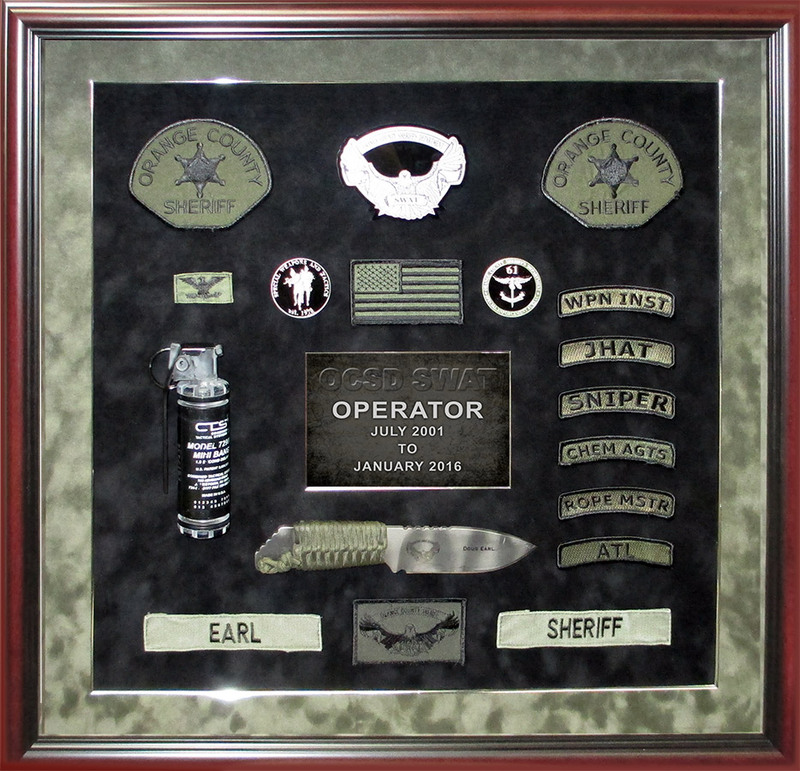 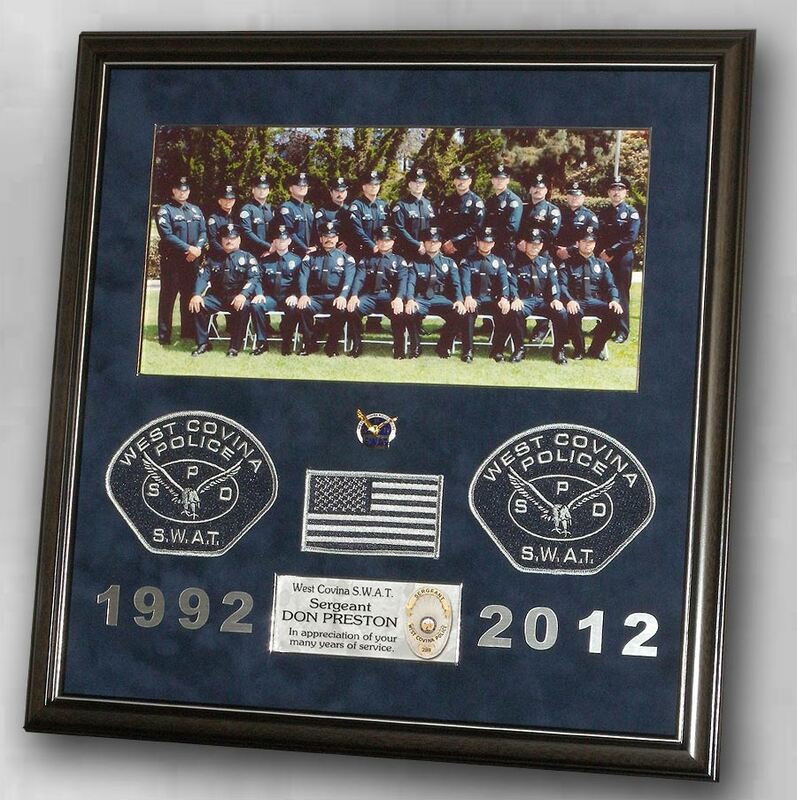 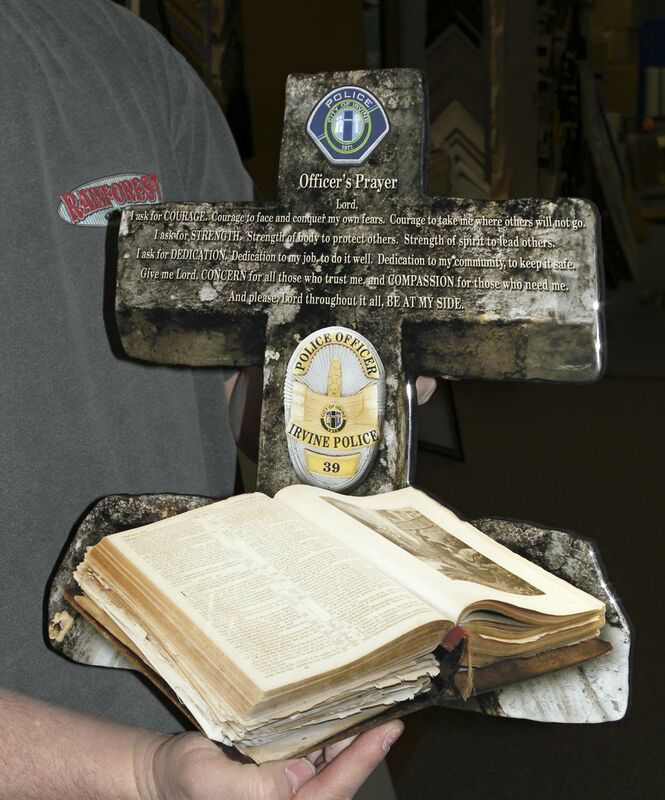 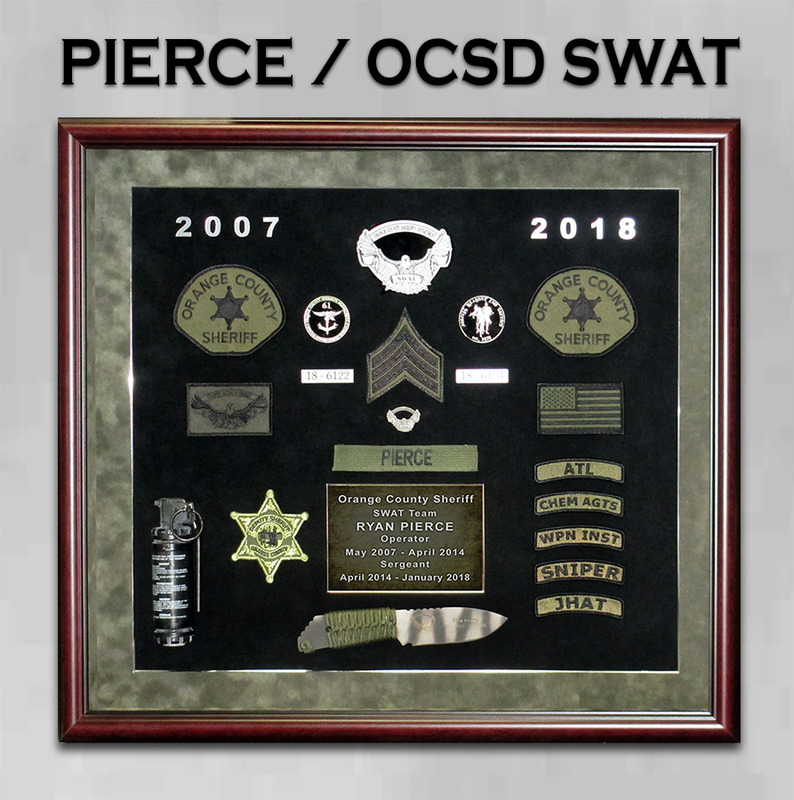 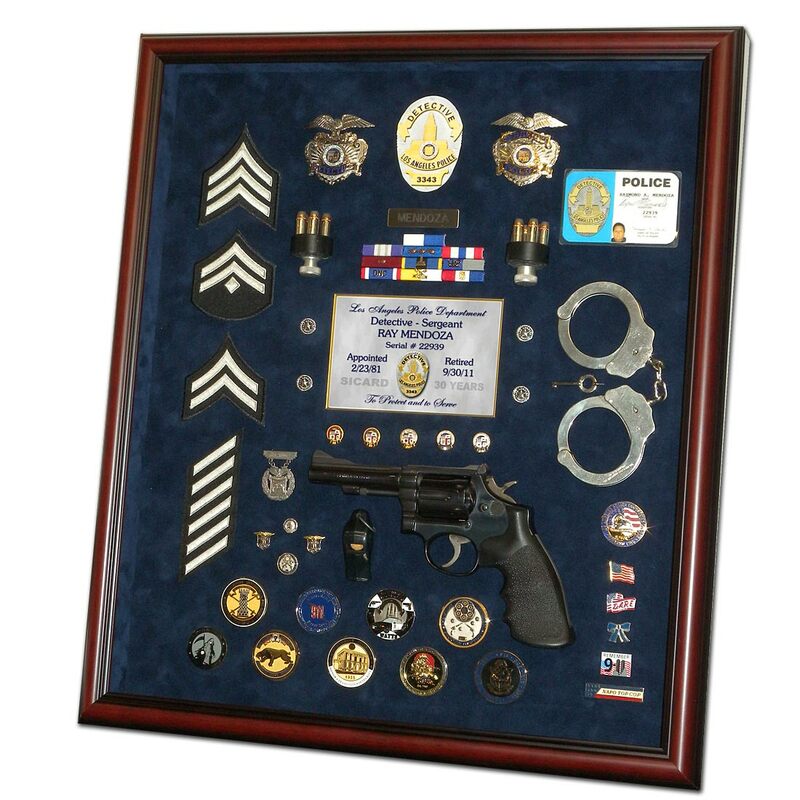 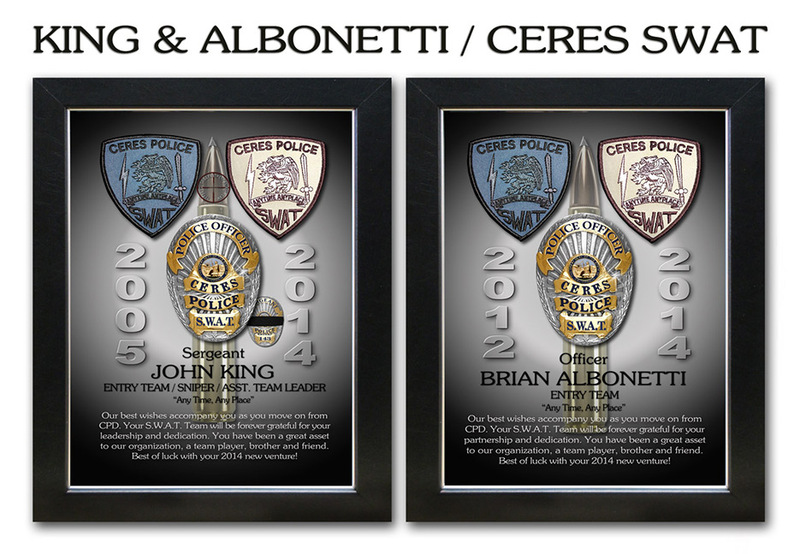 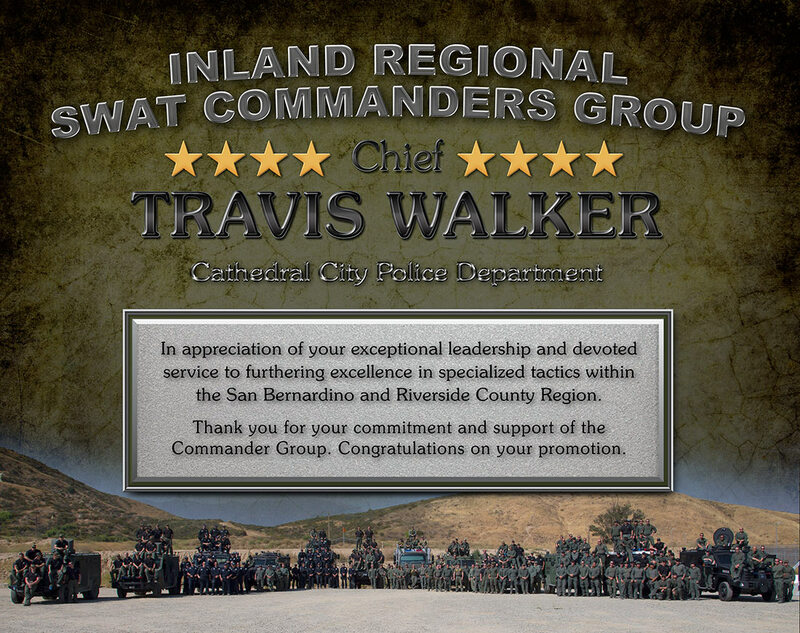 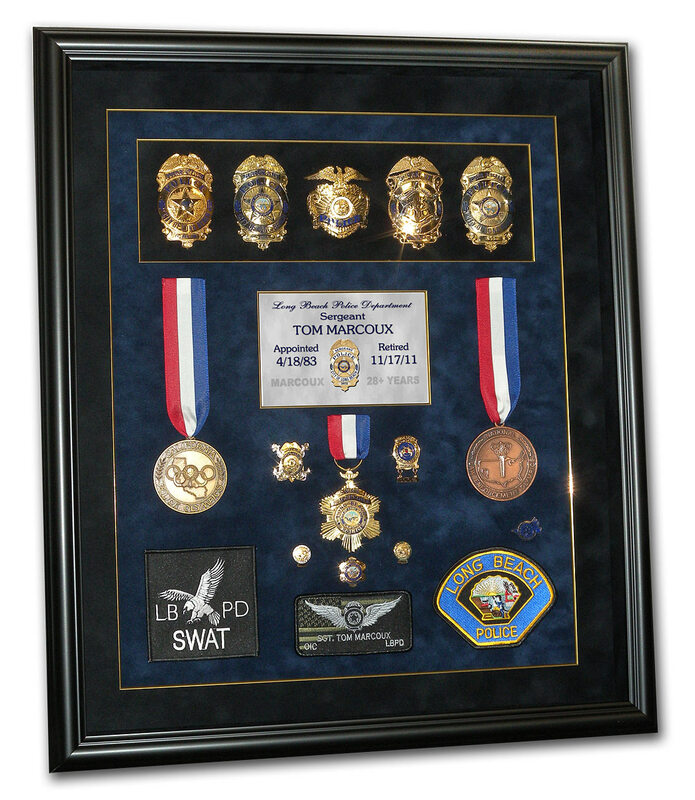 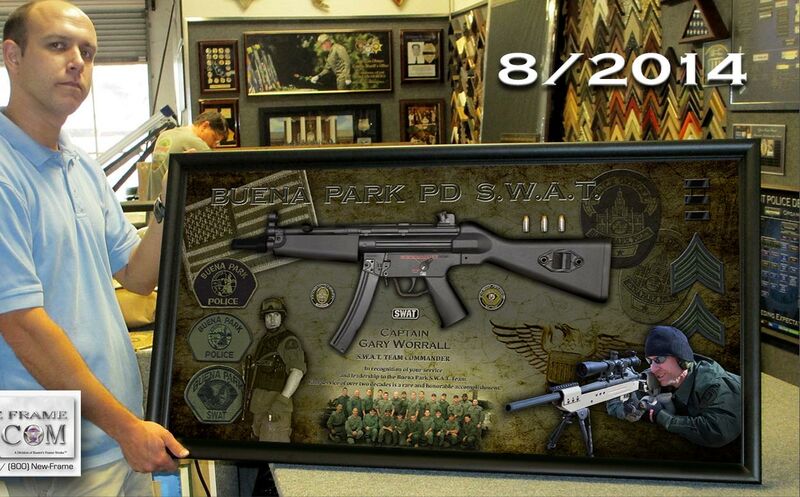 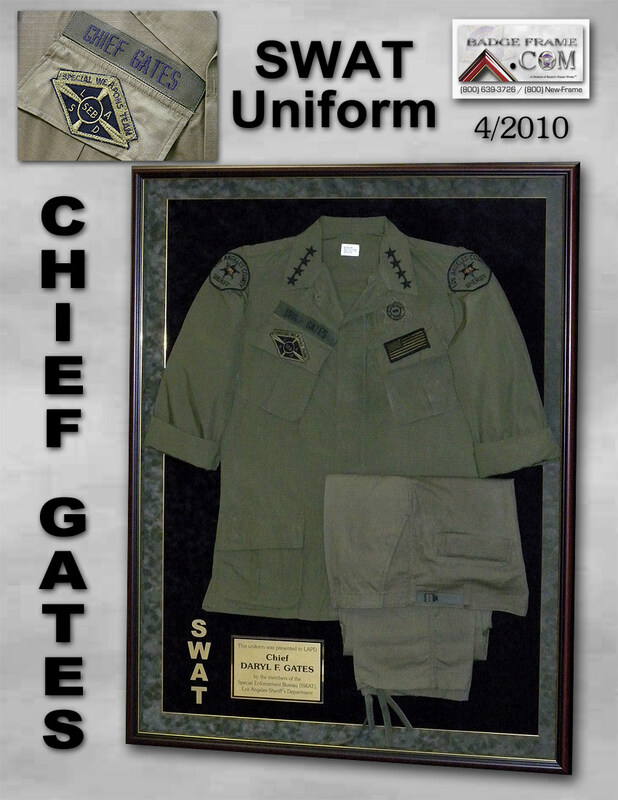 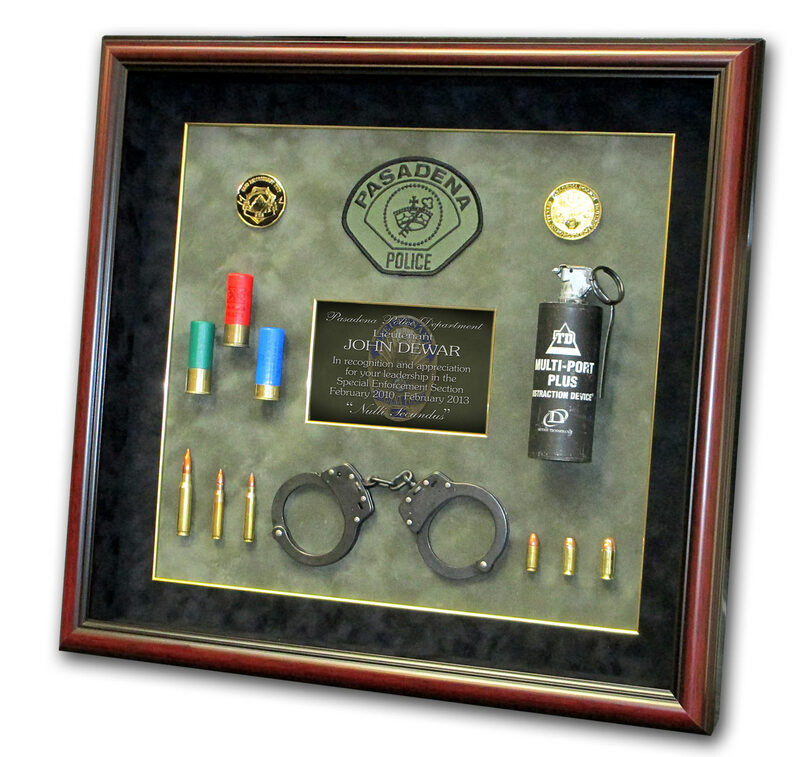 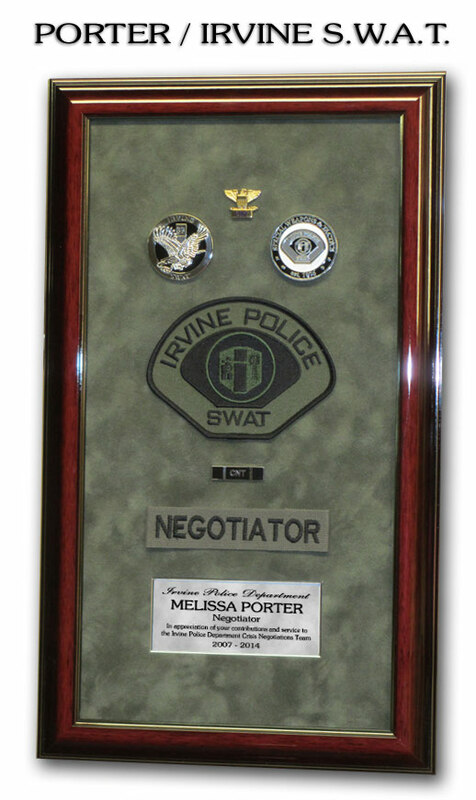 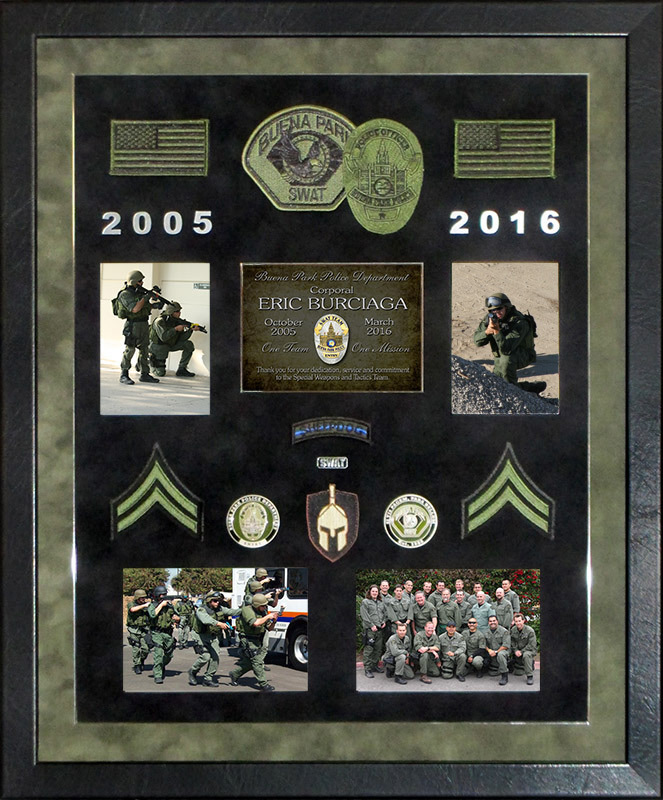 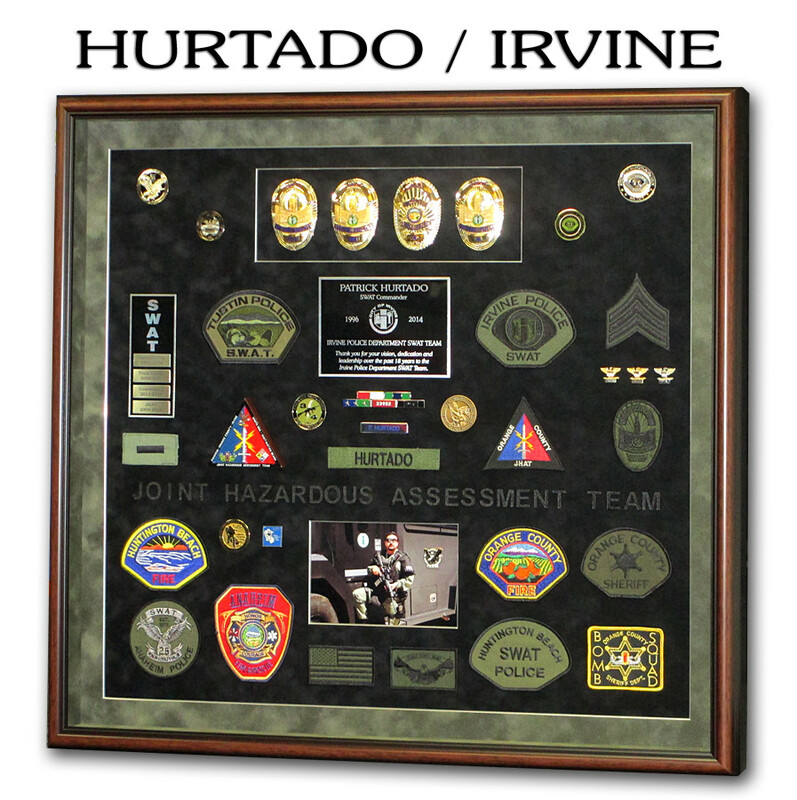 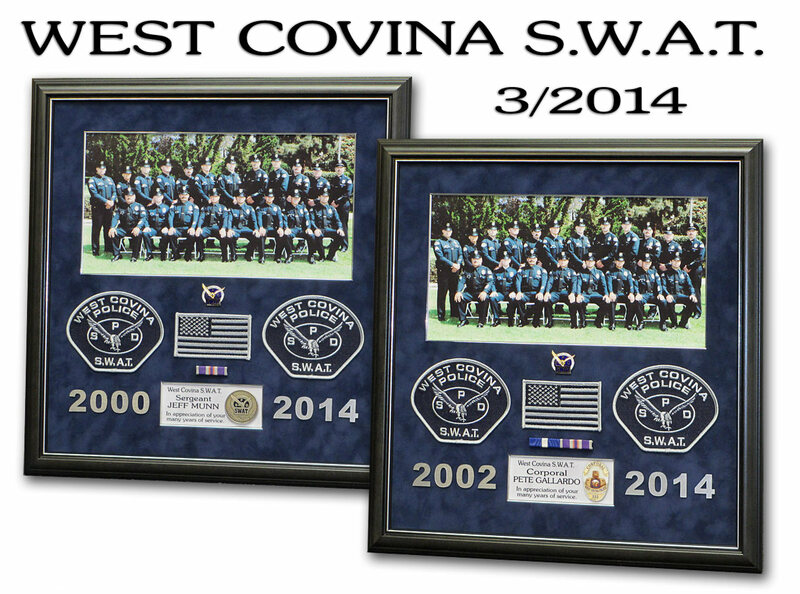 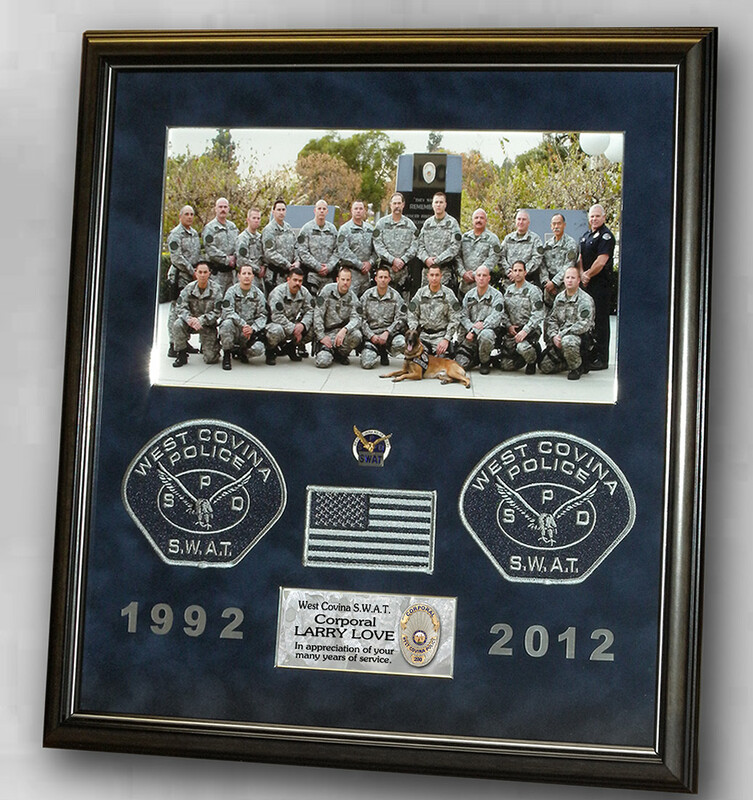 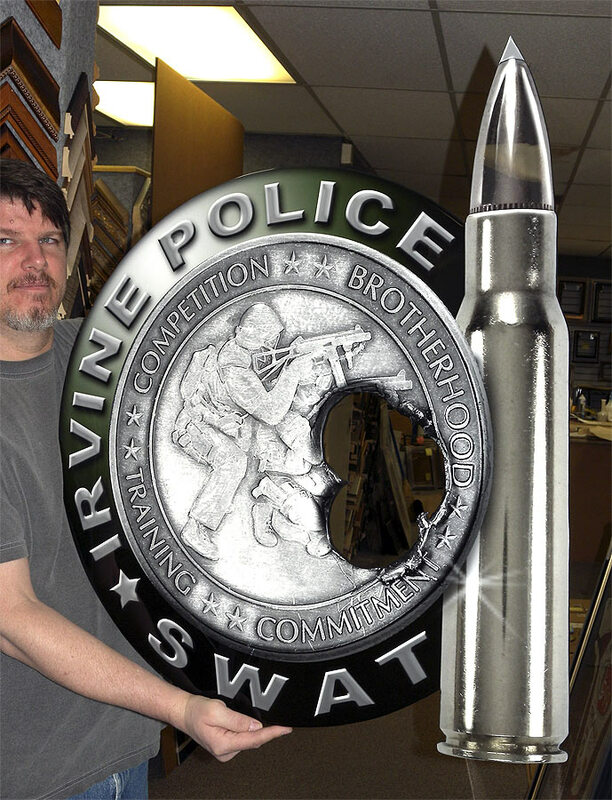 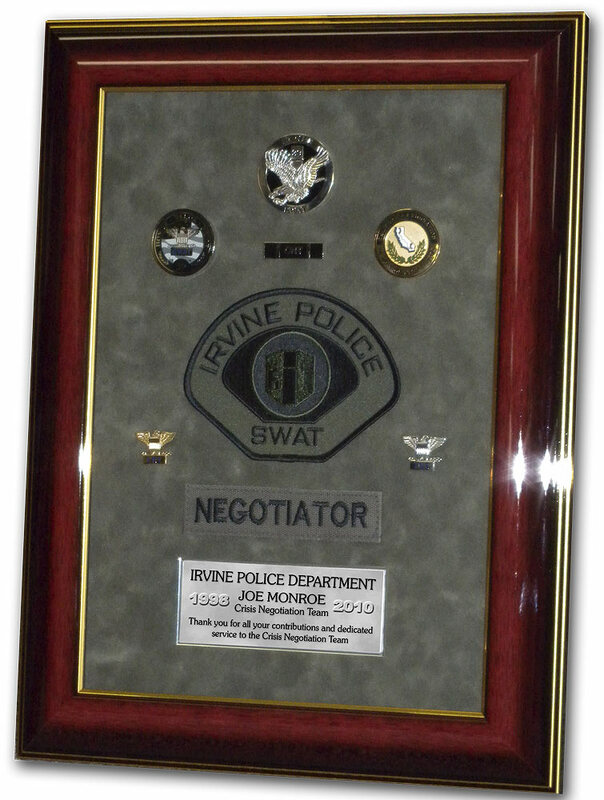 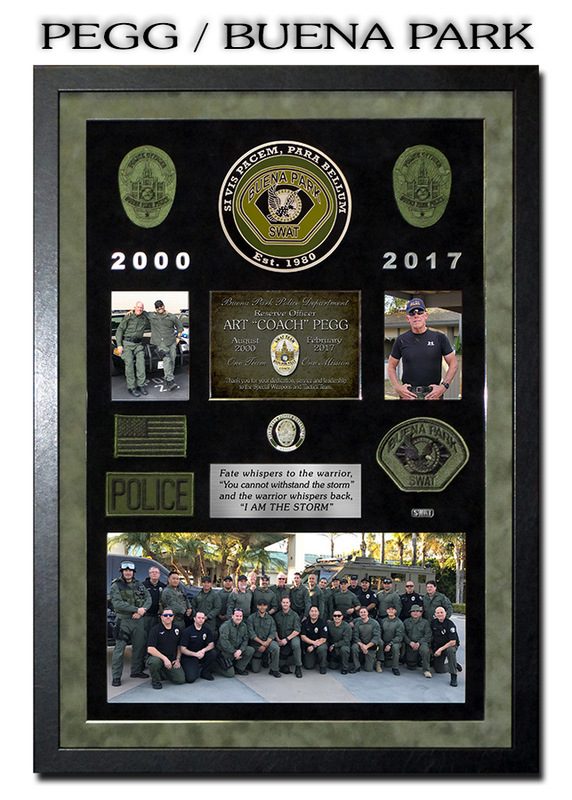 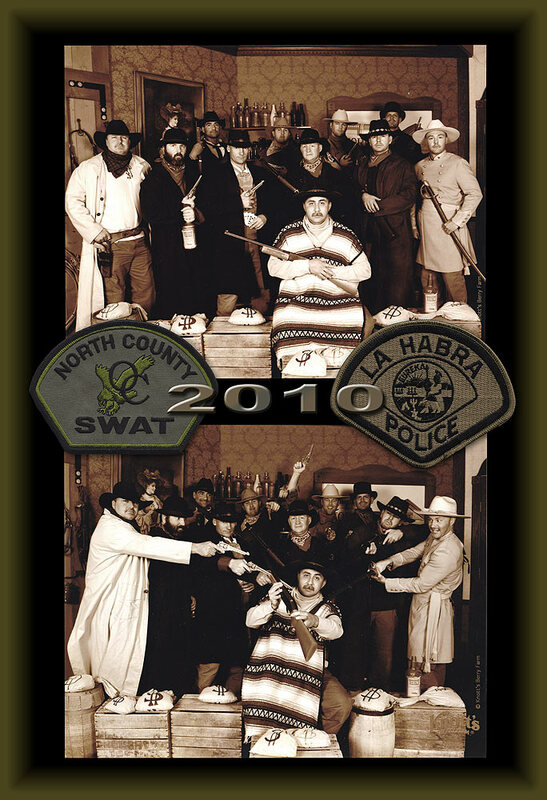 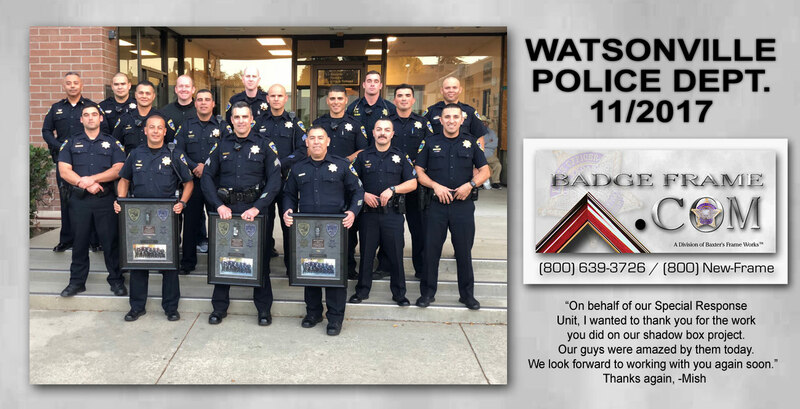 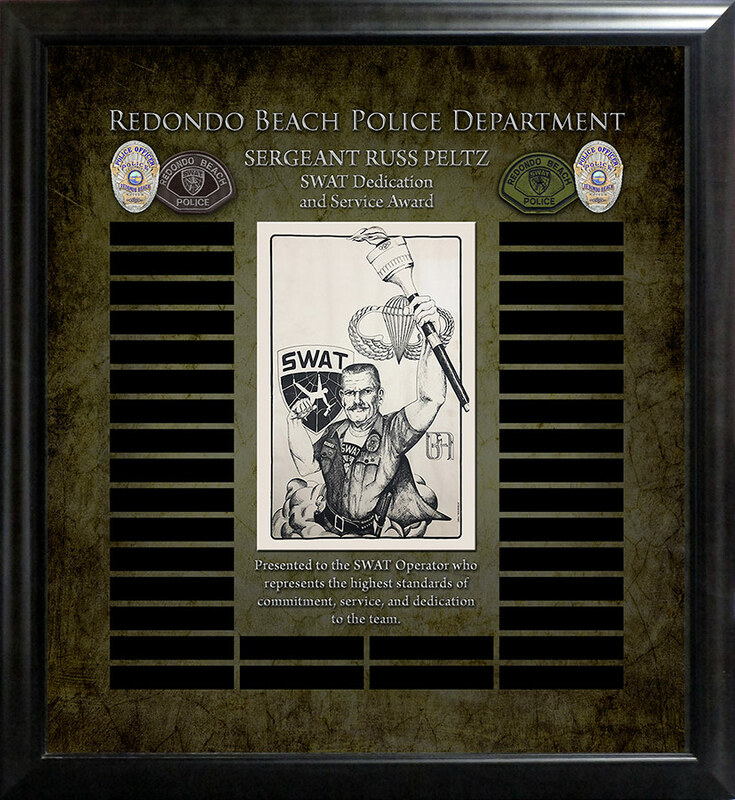 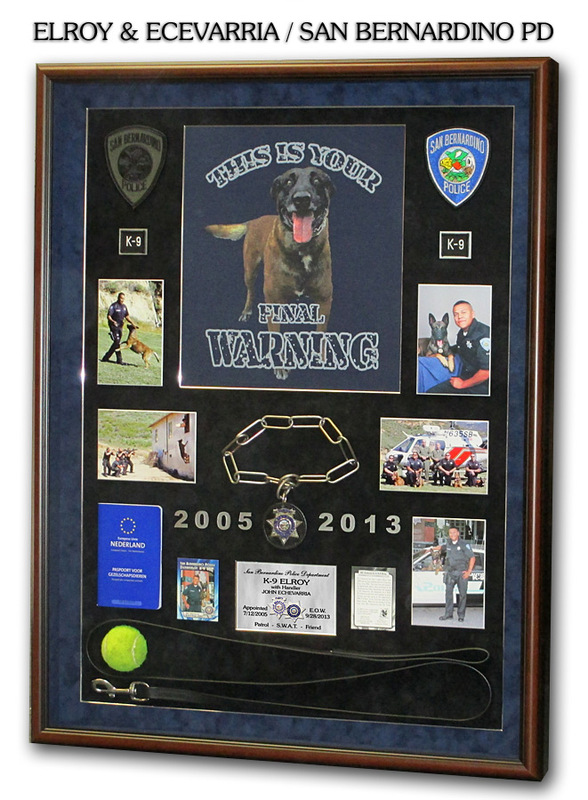 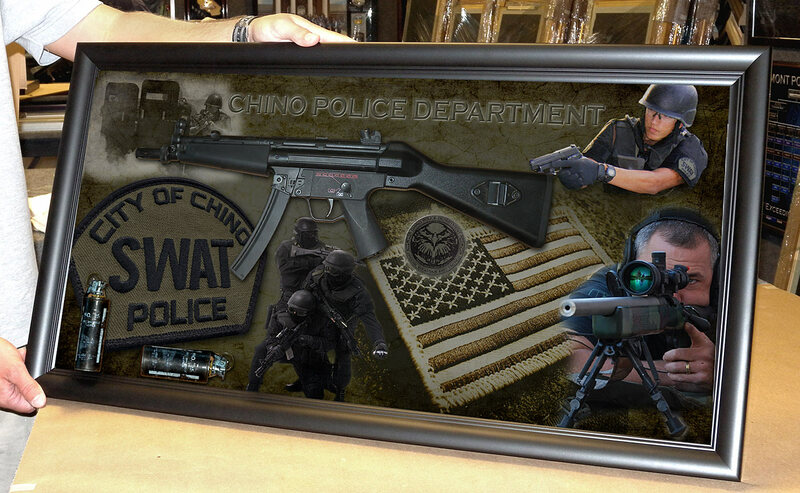 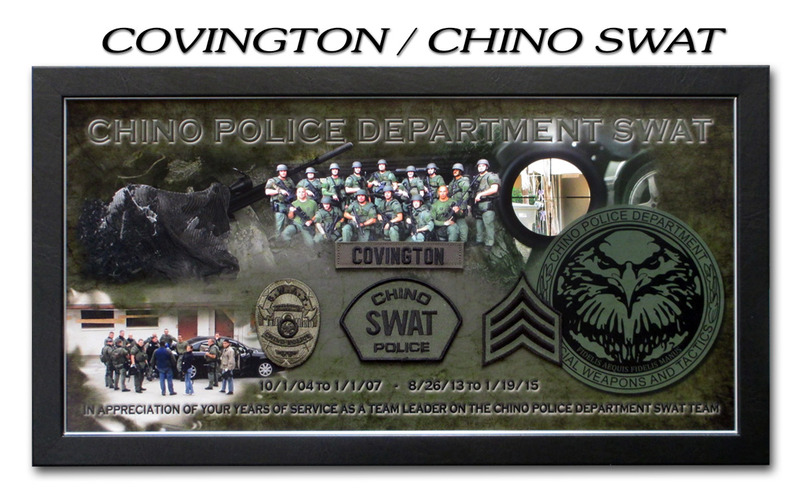 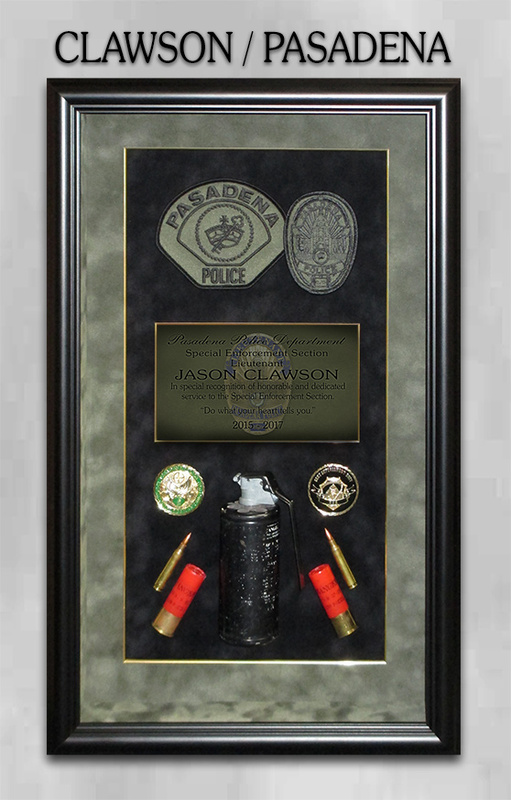 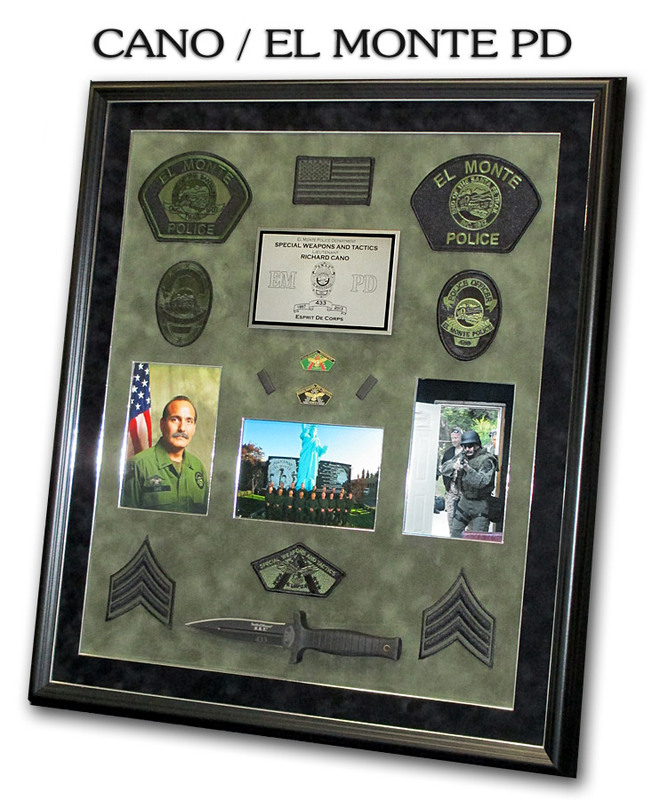 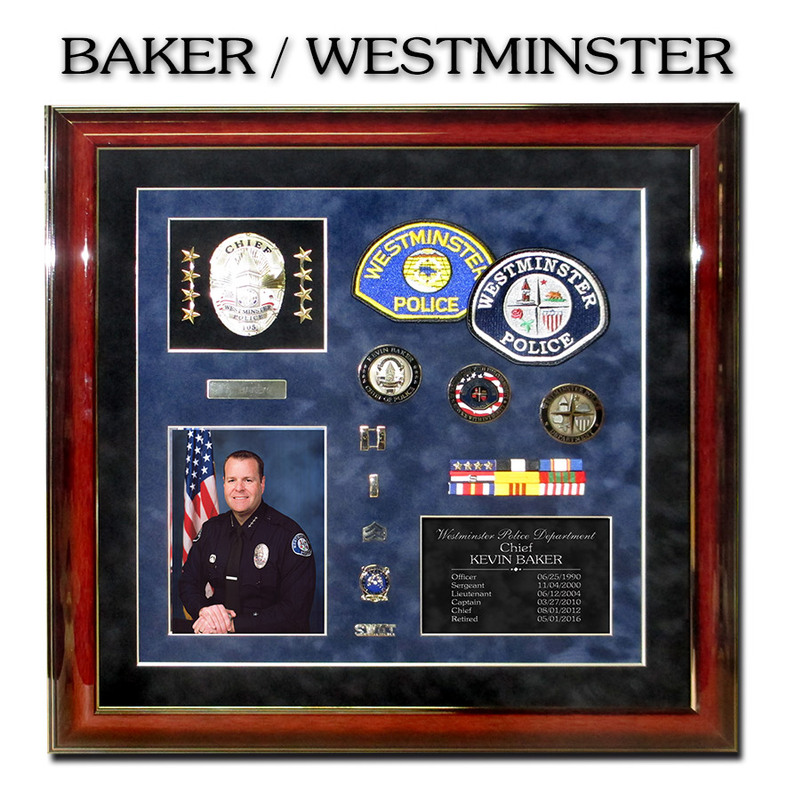 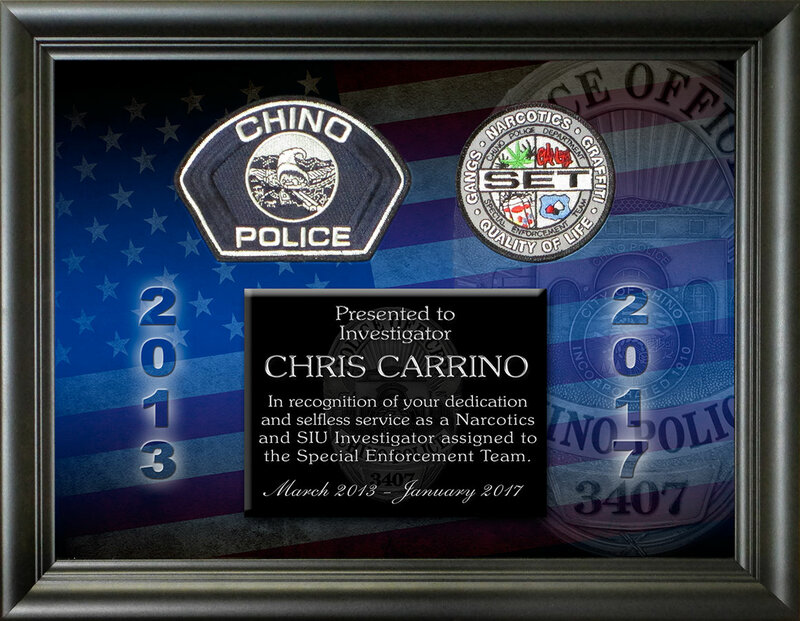 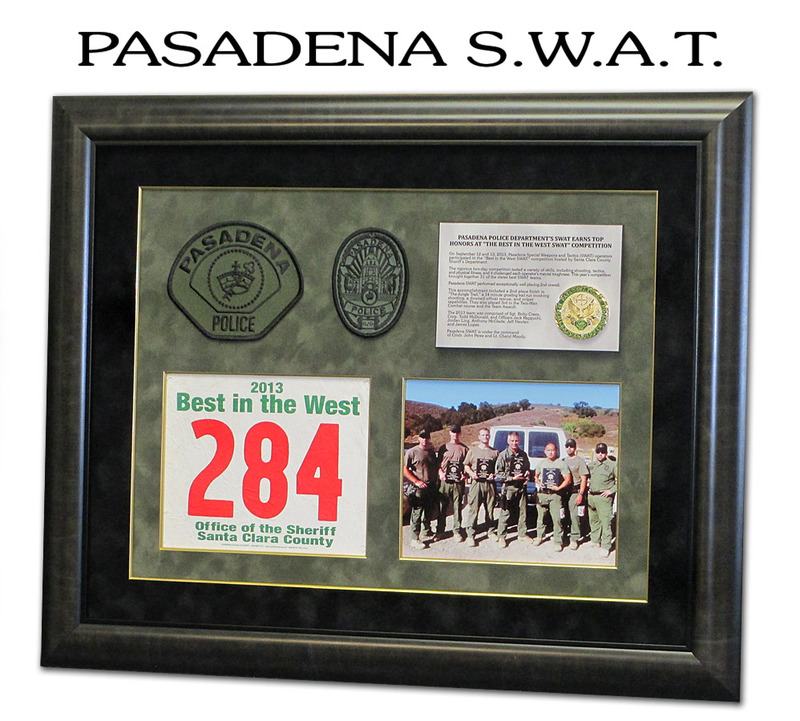 Corporal Larry Love / West Covina PD / S.W.A.T. 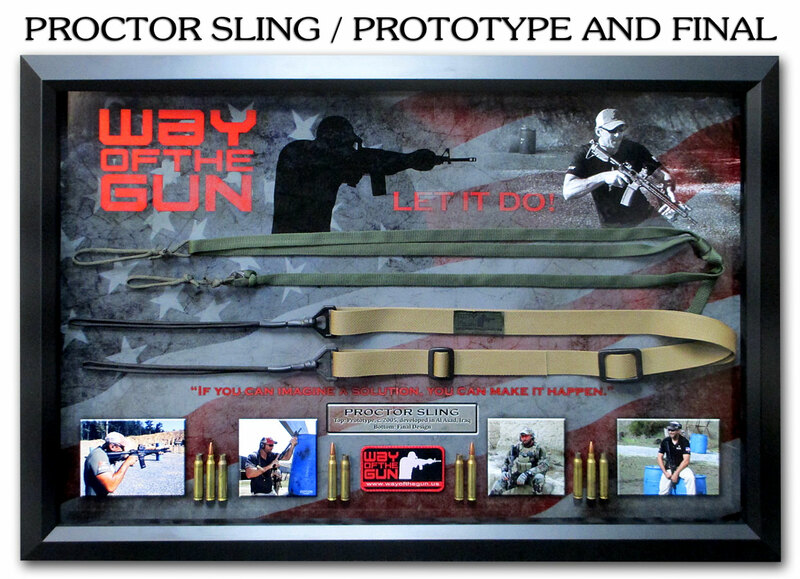 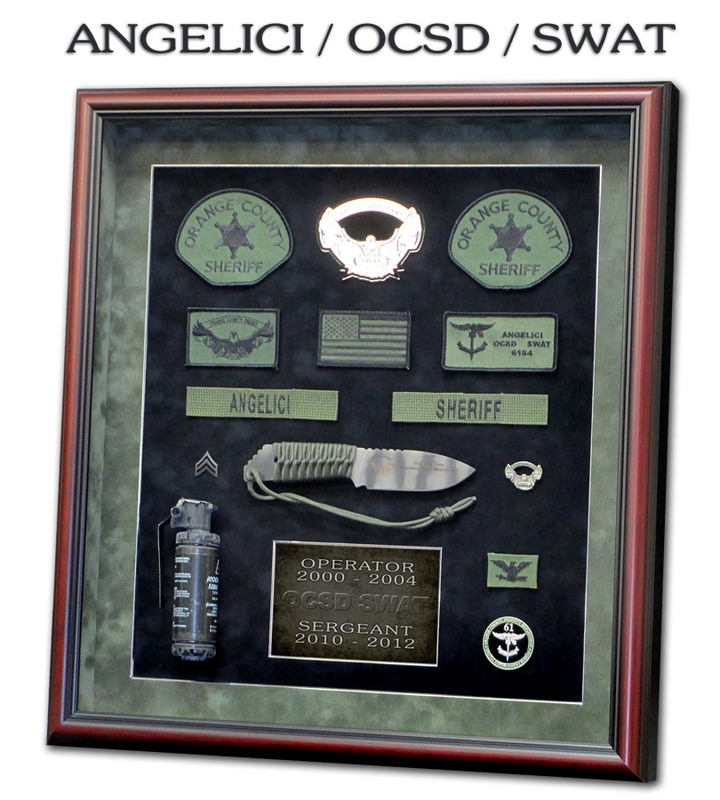 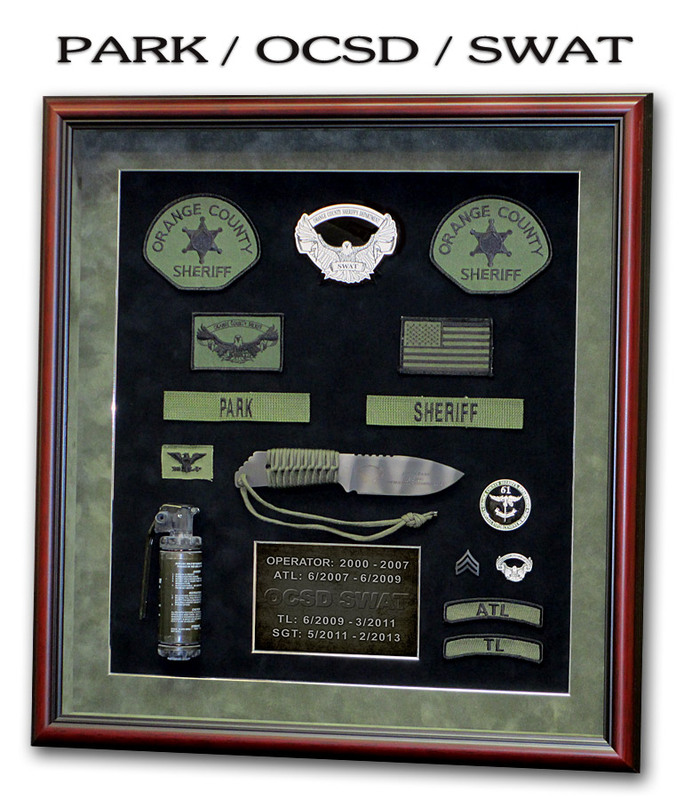 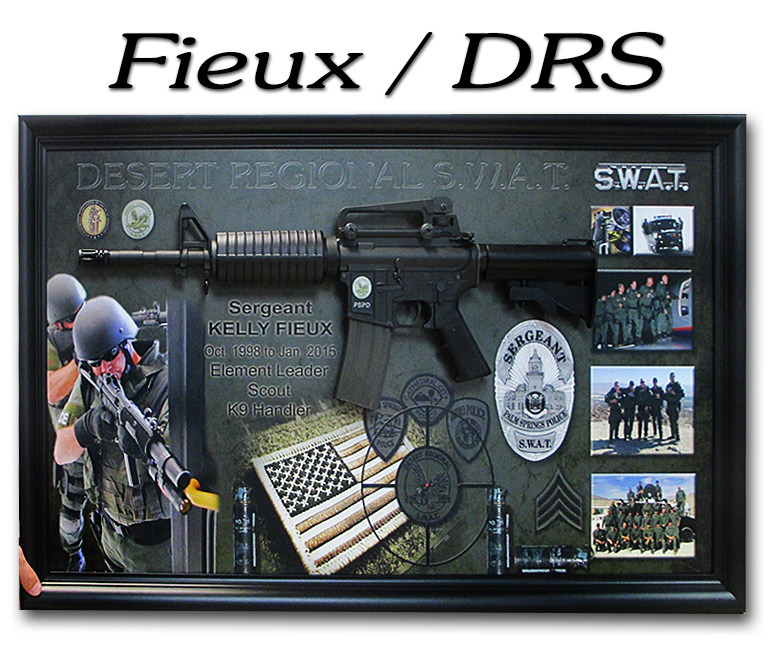 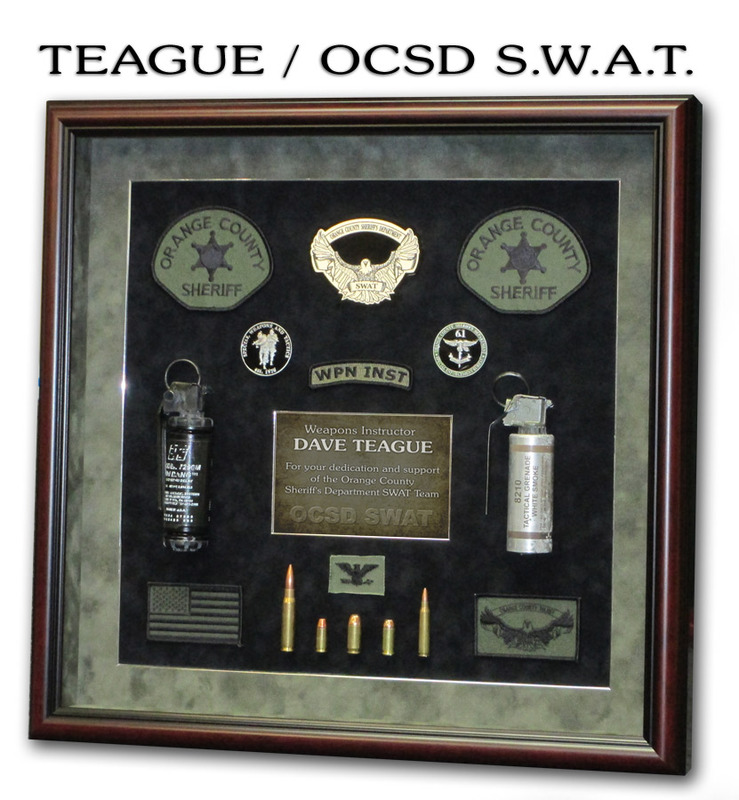 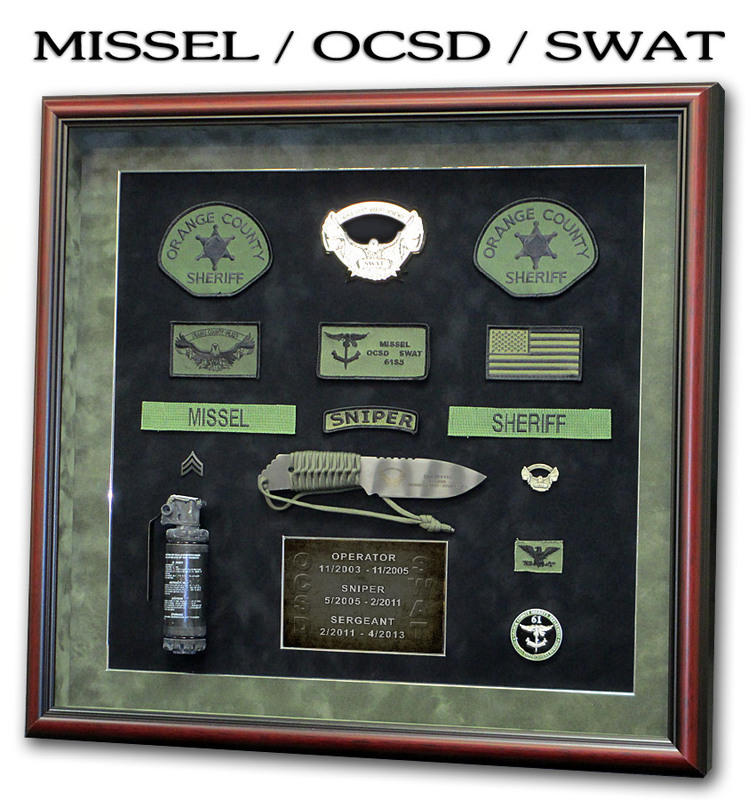 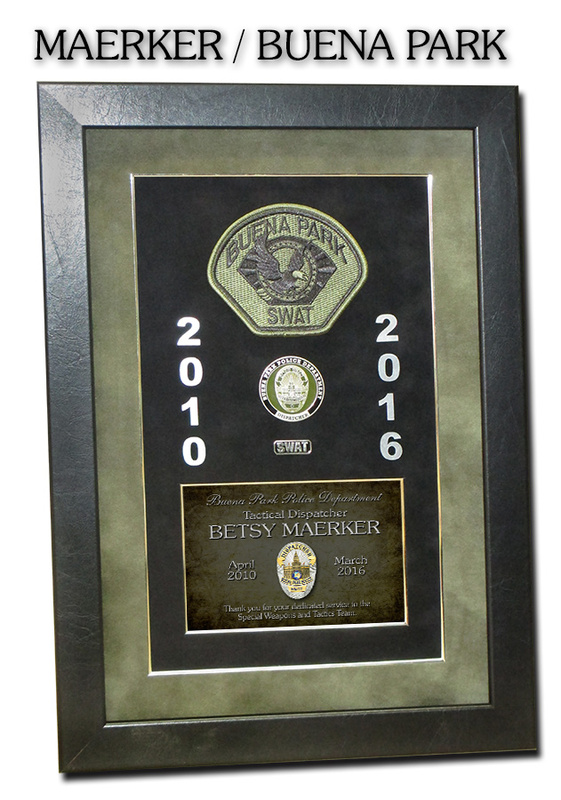 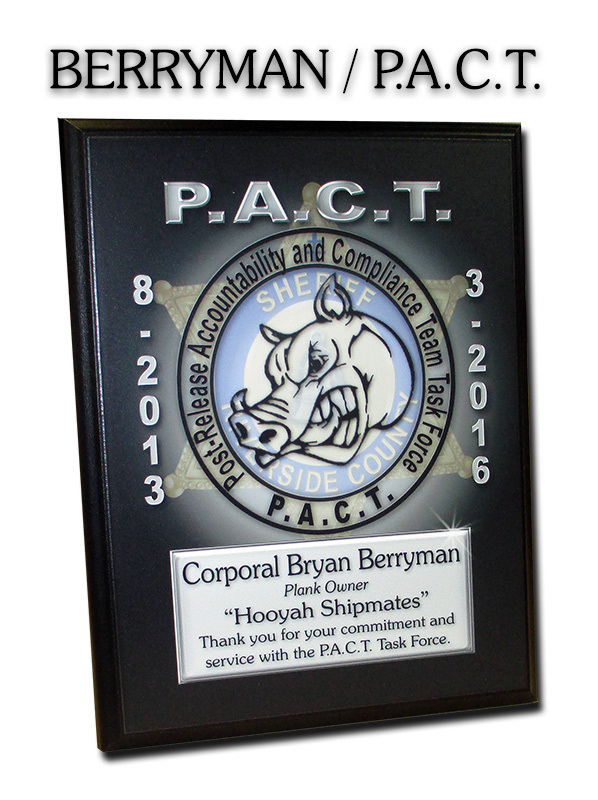 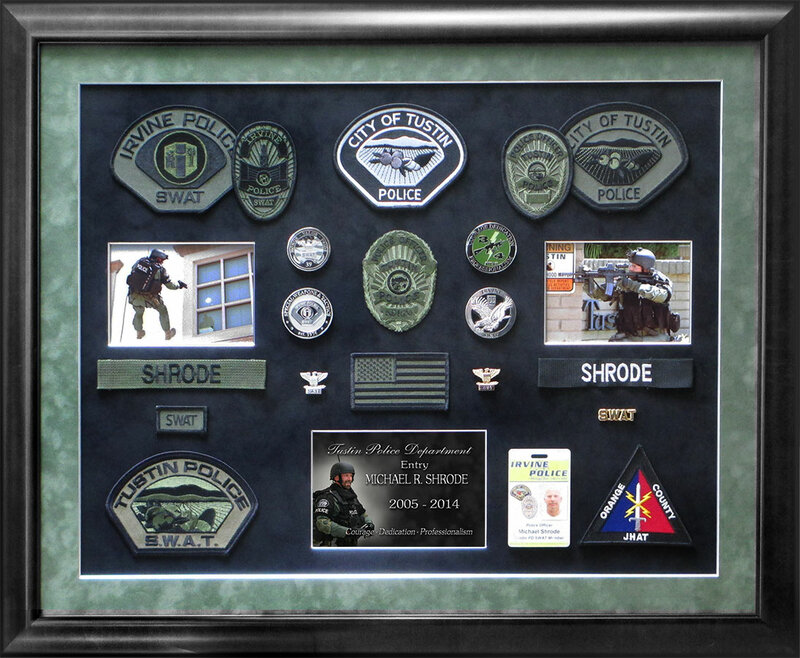 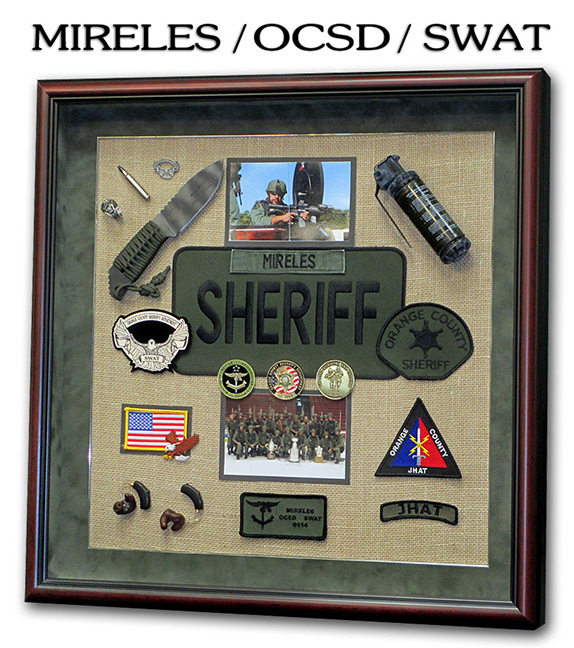 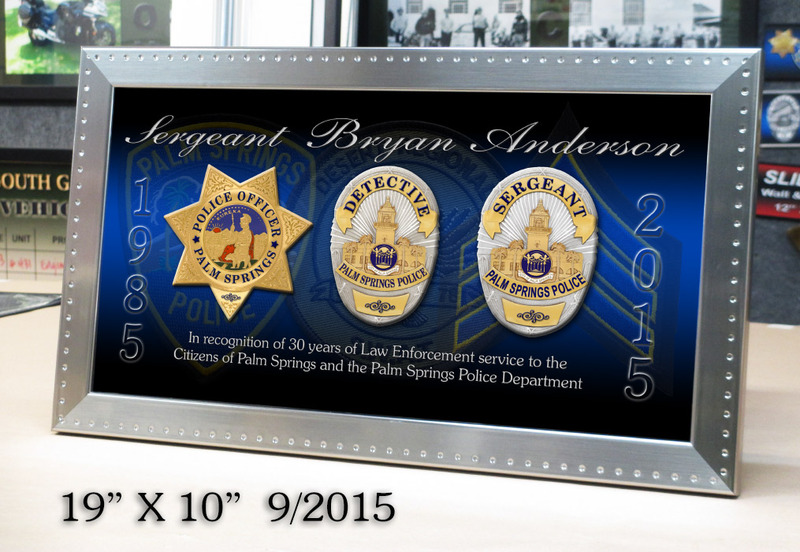 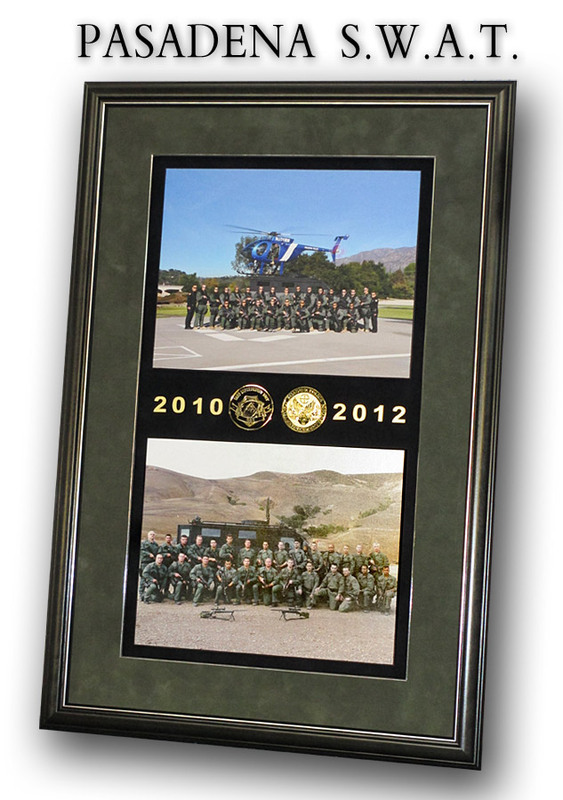 "I just unpacked the box and the shadow-box looks great! 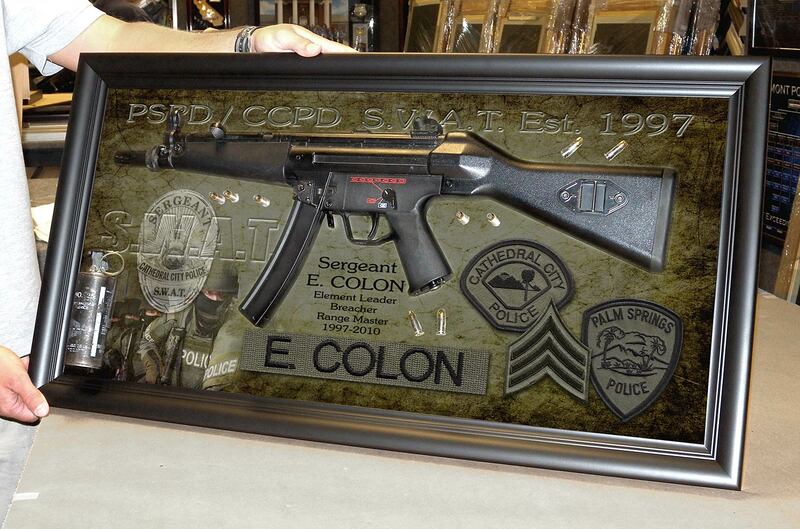 Seeing it in person exceeds all of my expectations. 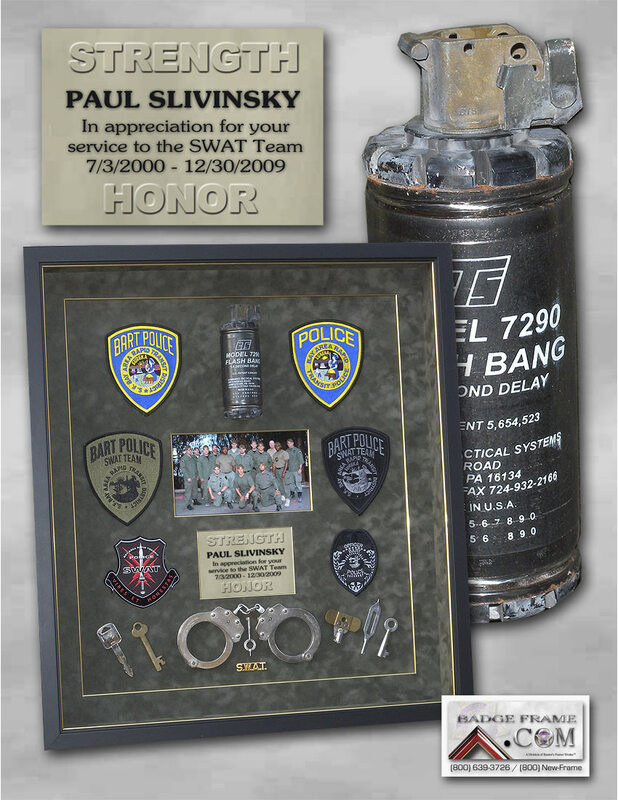 I am taking it to the retirement dinner tonight to give to Paul. 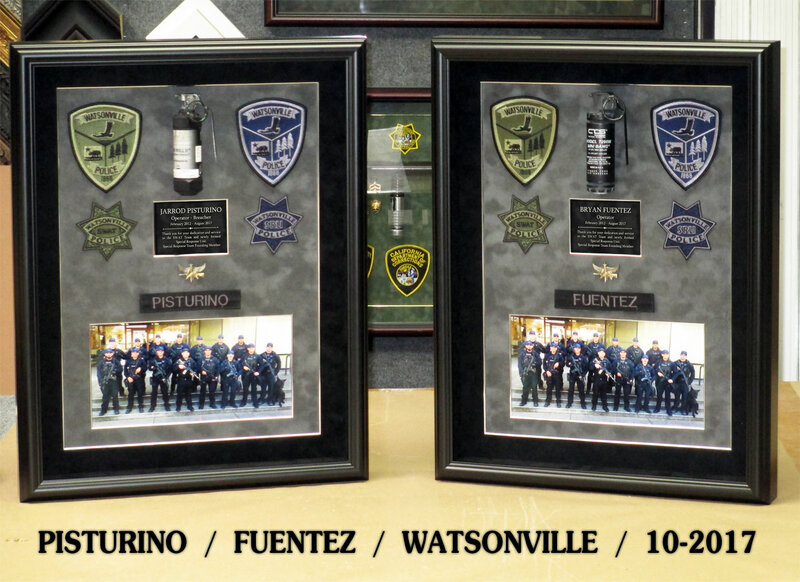 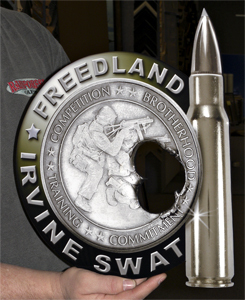 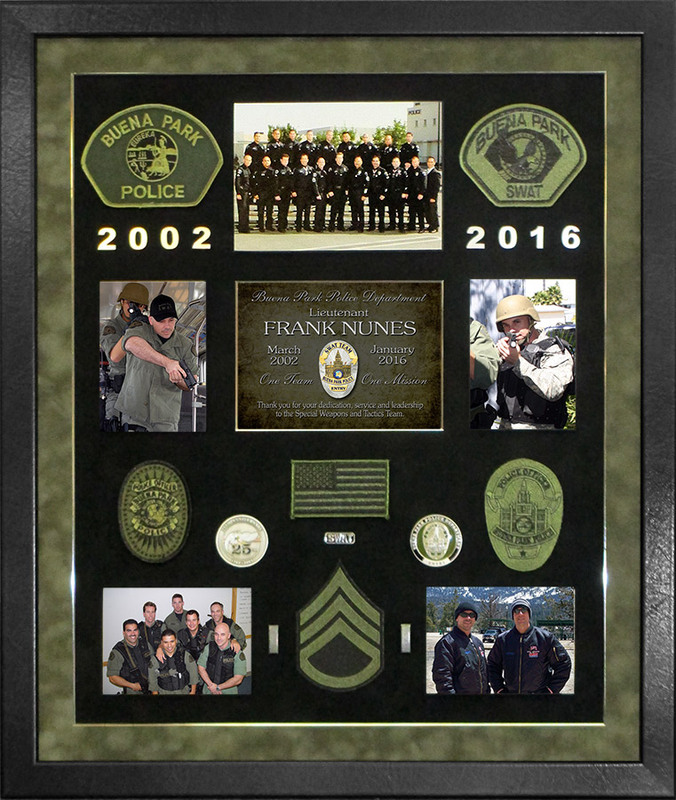 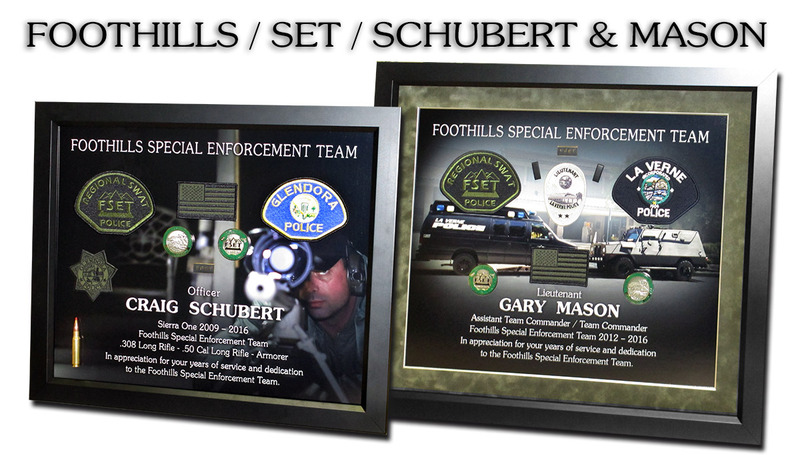 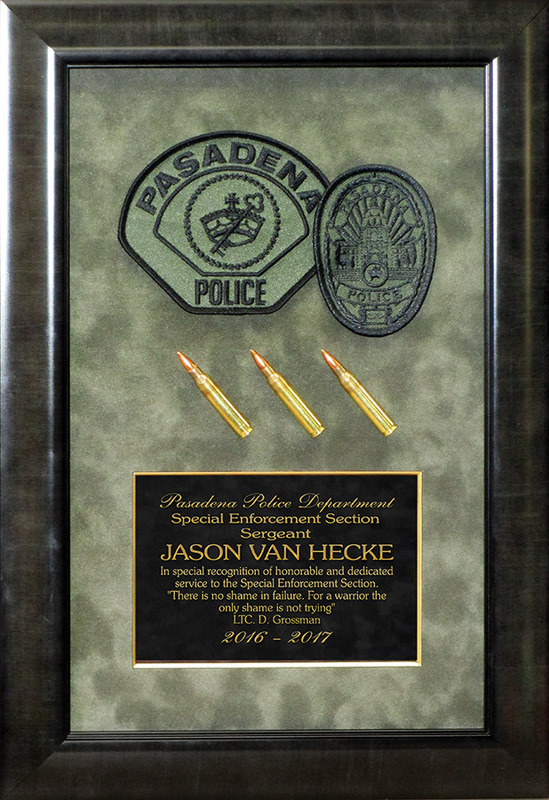 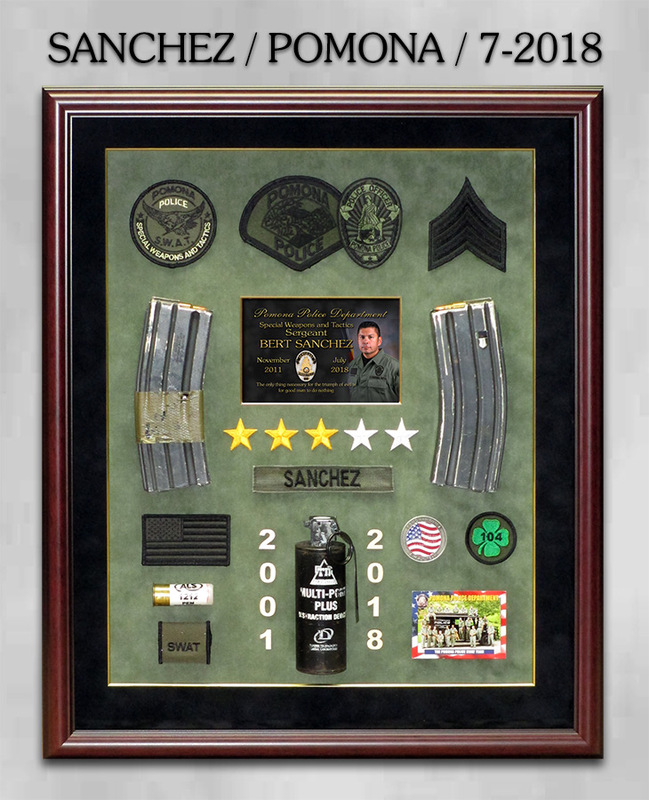 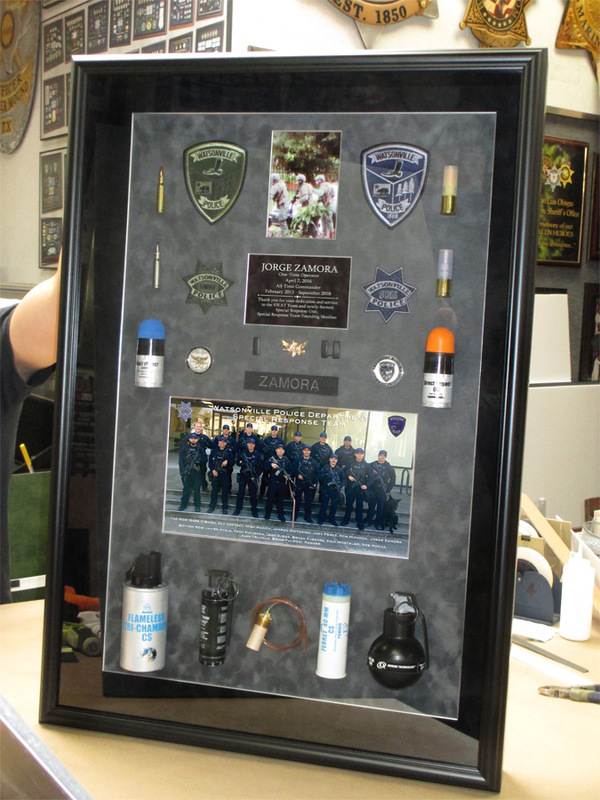 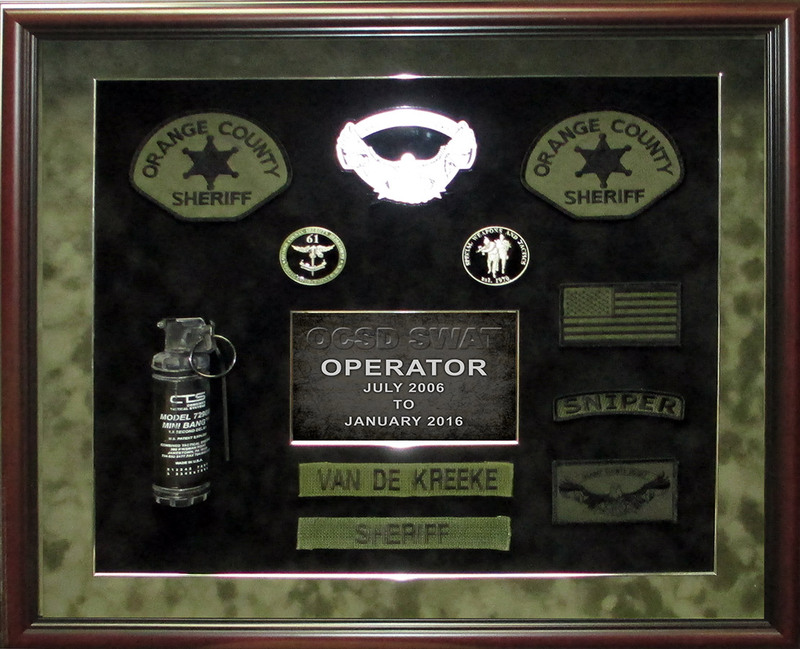 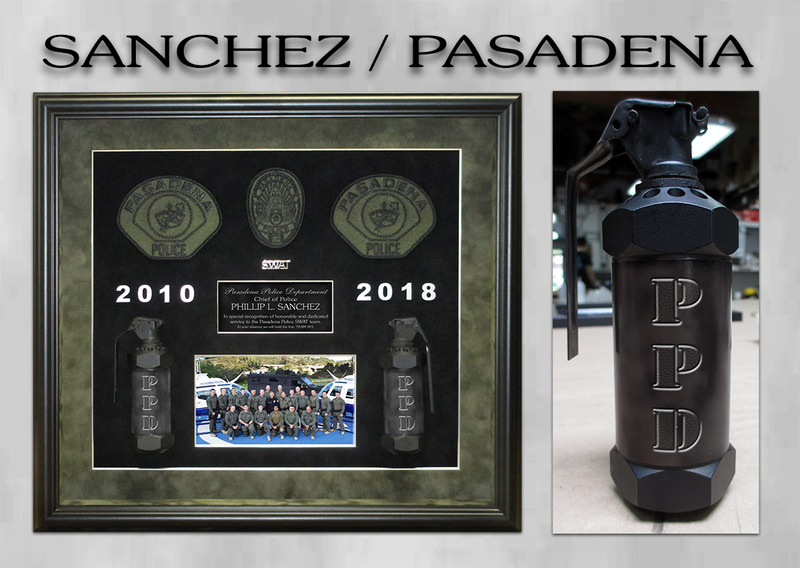 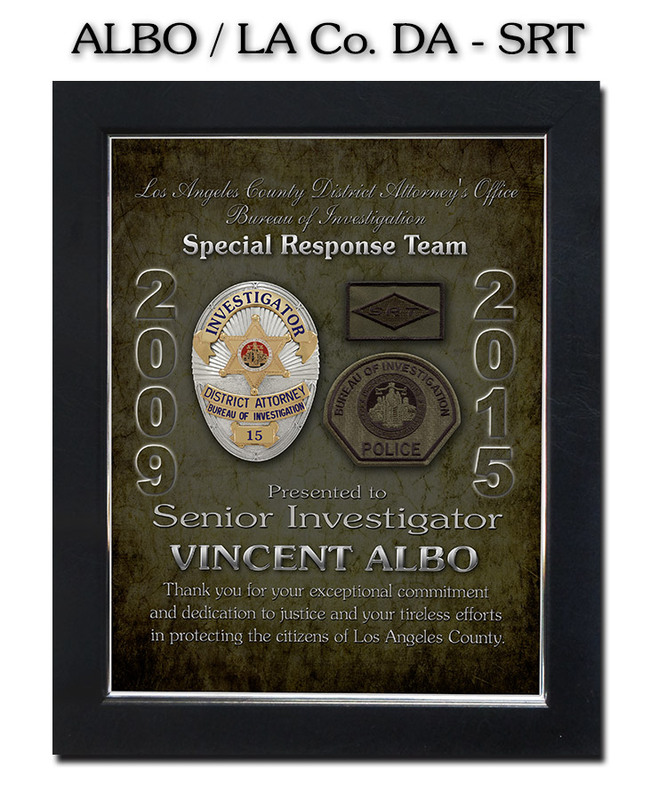 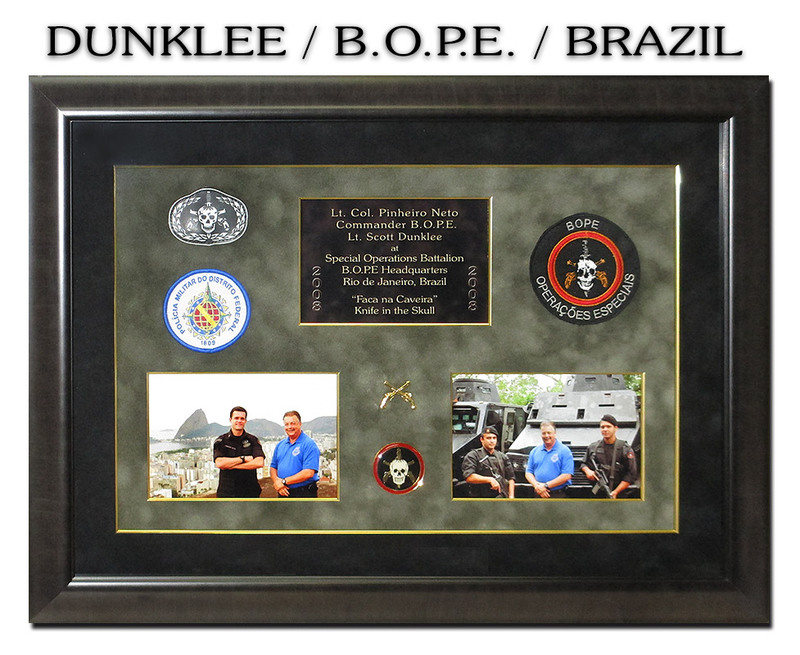 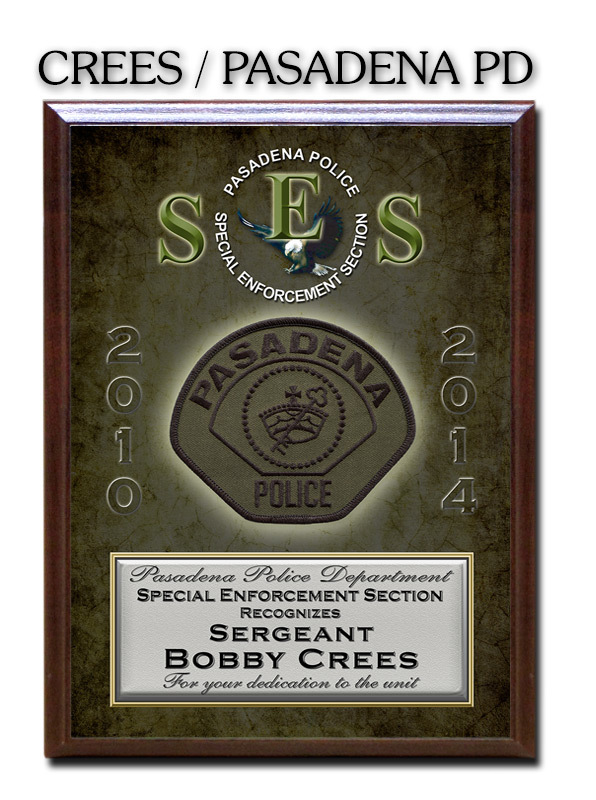 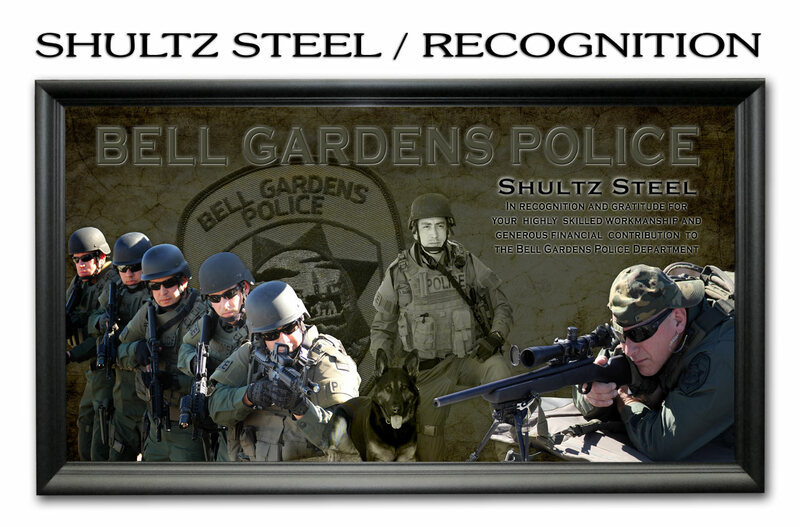 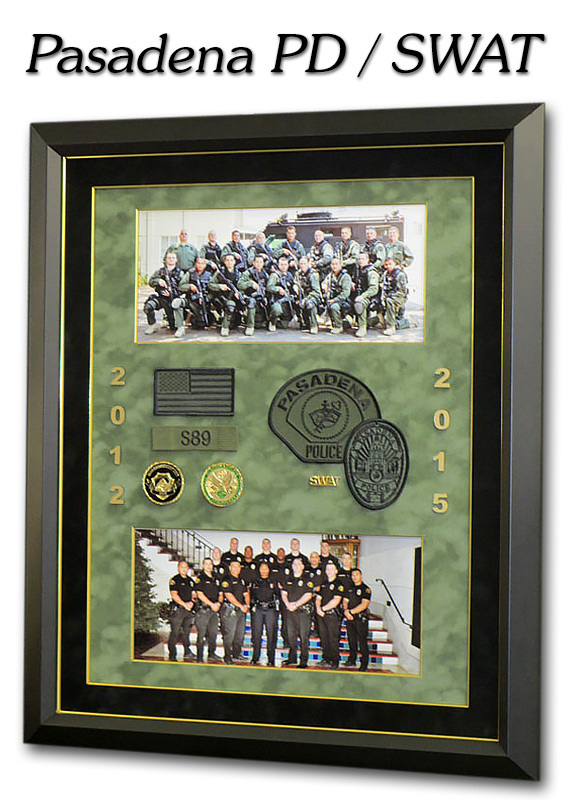 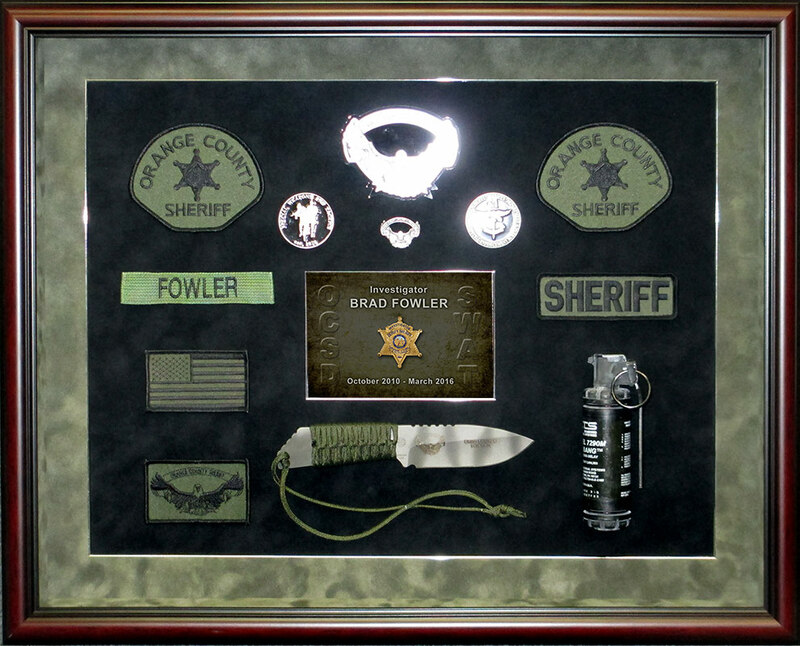 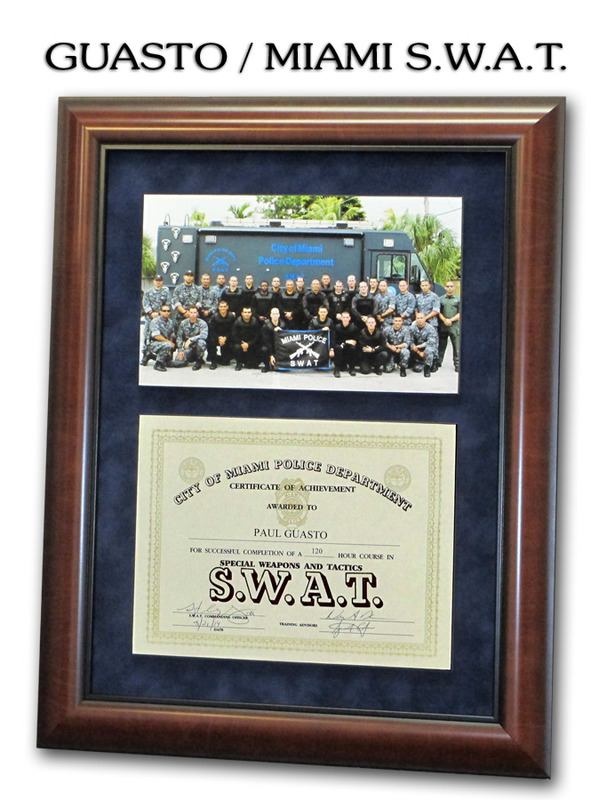 I am very proud to present this to Paul as a token of our appreciation for his hard work. 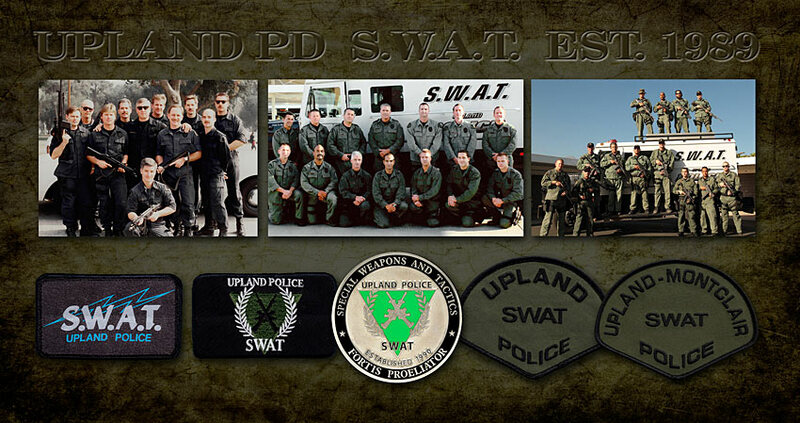 Please feel free to use us as a reference and I look forward to our next project. " 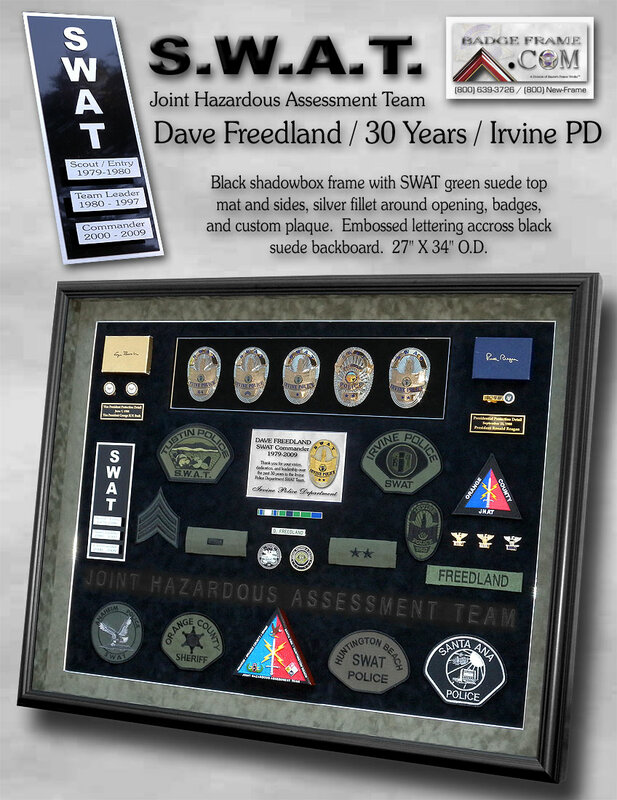 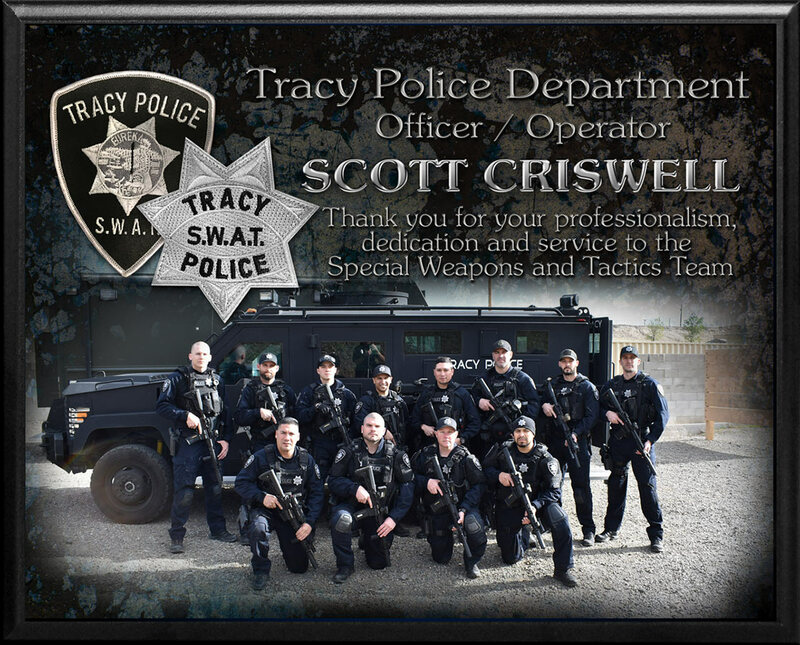 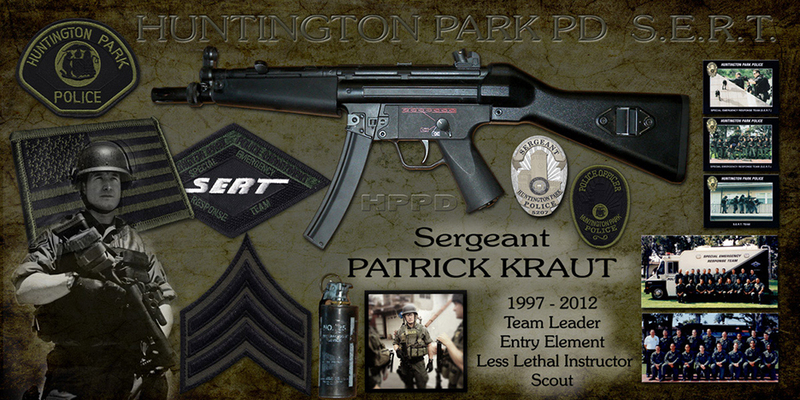 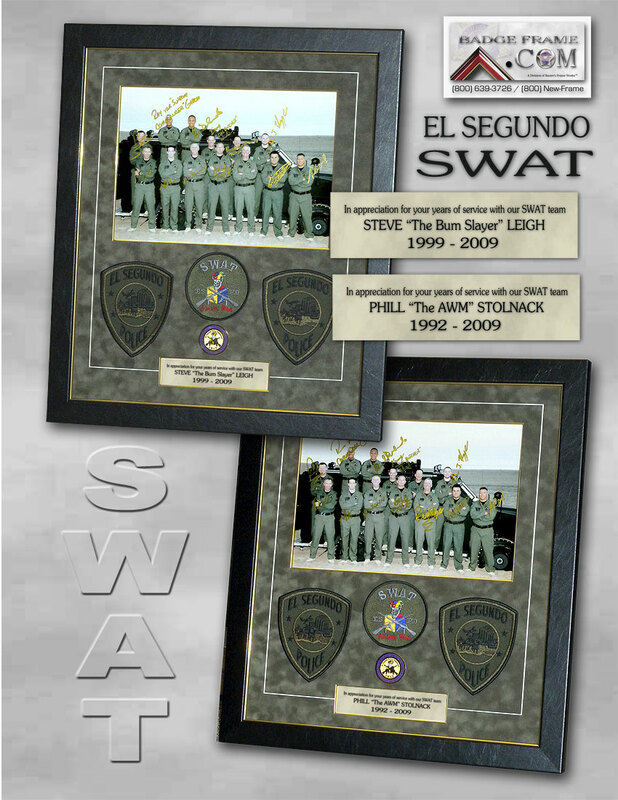 Kevin Franklin / Bart PD S.W.A.T.